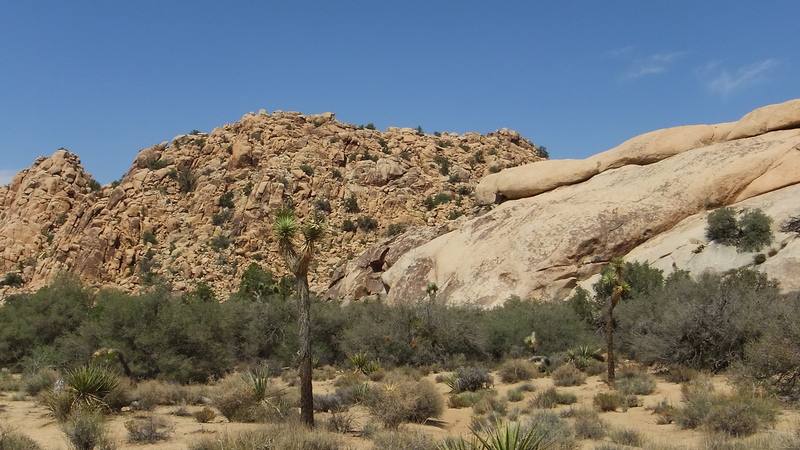 A large block (the EBGB’s Block) sits high on a pile of rocks to the right and west of the West Face of Echo Rock, visible about halfway up the center in this picture. 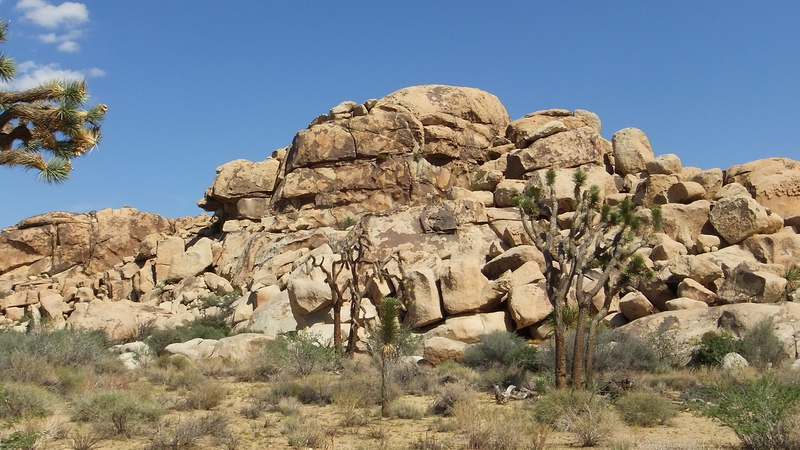 The large block has several high-angled face routes on it that delight rock climbers, including the three-star, 5.12b difficulty, “Jane’s Getting Serious”. 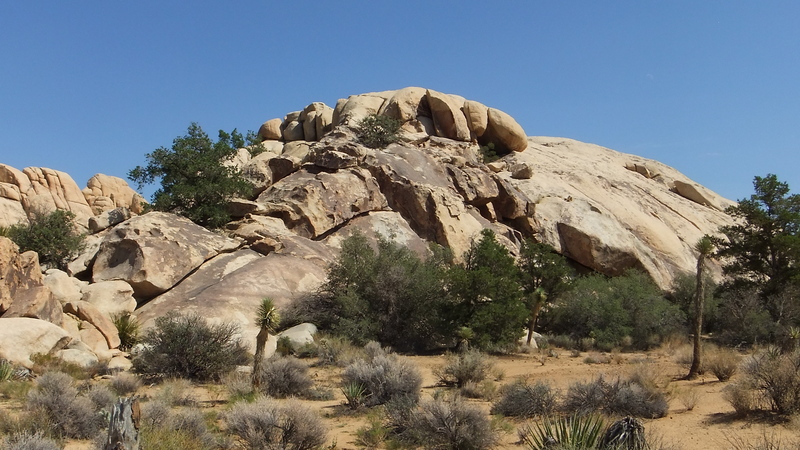 Other climbs on this western side of Echo Rock include “Chaos,” “Cheetah” (also 5.12b difficulty), “Tarzan,” “Zondo’s Perks,” “Fast Lane,” “Sinner’s Swing,” “Sun City,” and “Sin City. 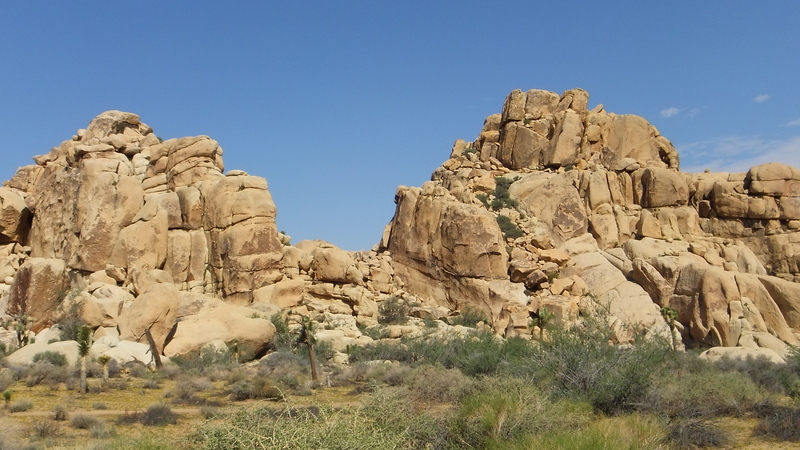 There are a dozen more mid-level to very difficult climbs on the right side leading to the large buttress dominating the south end of Echo Rock. 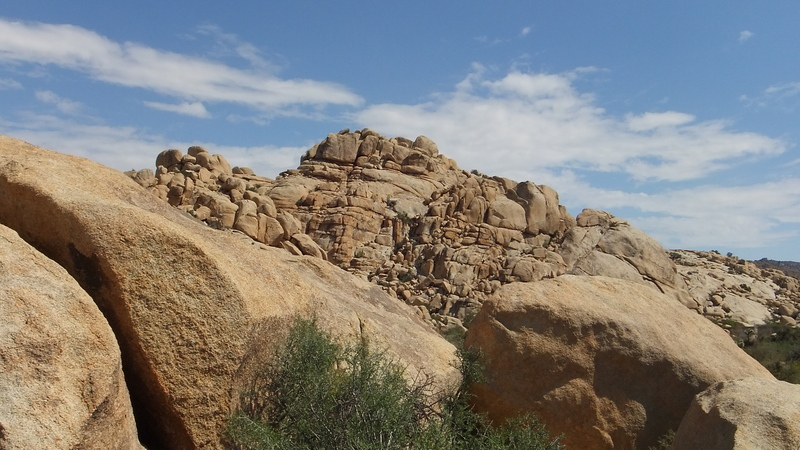 Still dozens more climbs are recorded on the smooth western face at left and beyond. 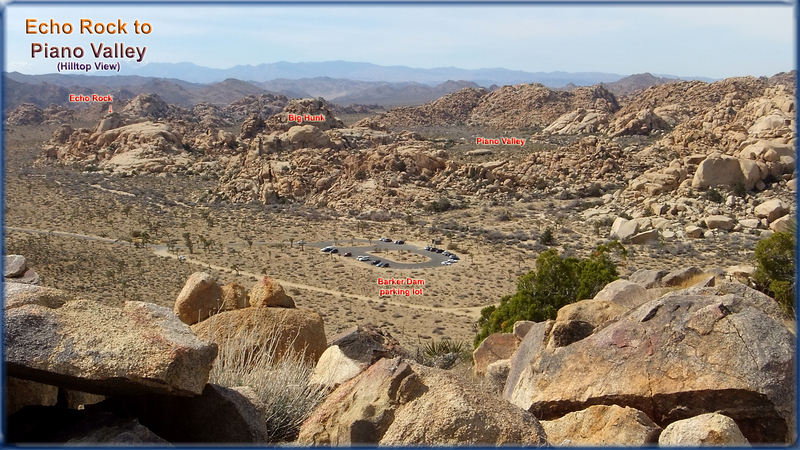 You cannot miss it, this rock lies nearly straight ahead (northeast) of the gravel parking area at Echo Tee. 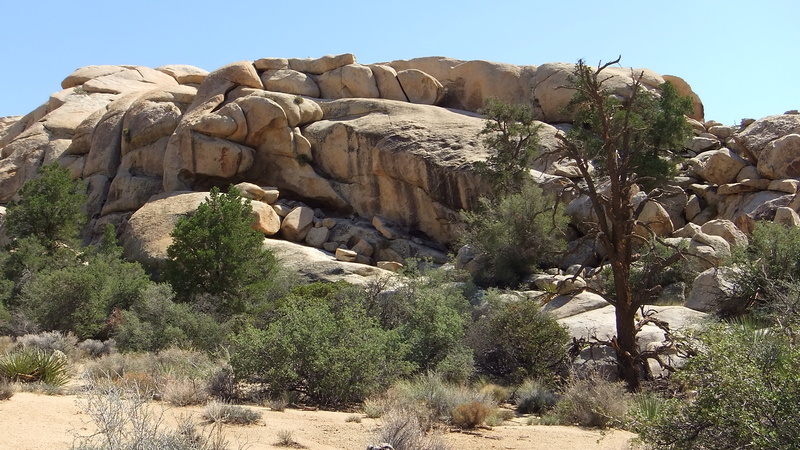 Around the base of Echo Rock there are numerous “bouldering” rocks. 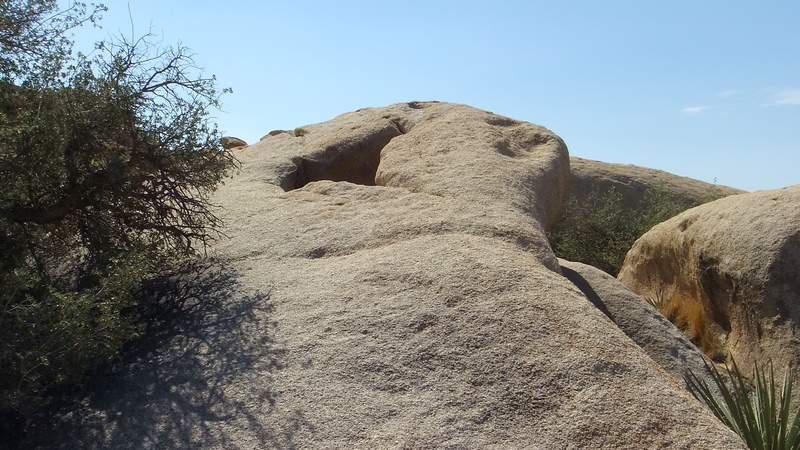 A prominent one that sits beside the trail between Echo Rock and Little Hunk is known as Gumdrop Boulder (see below). 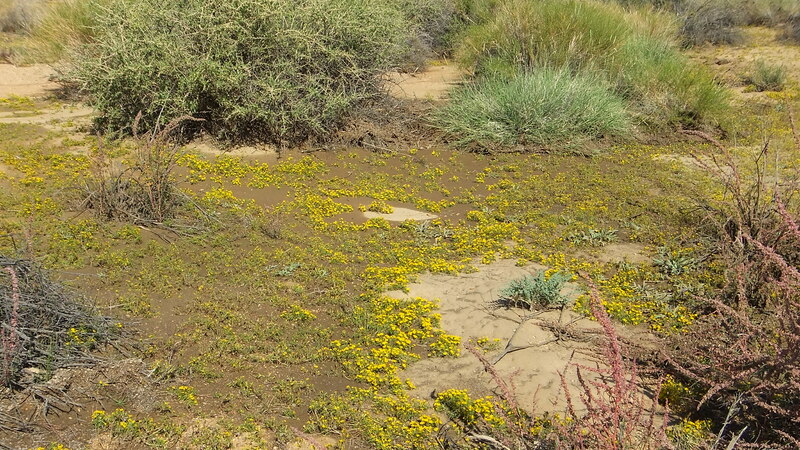 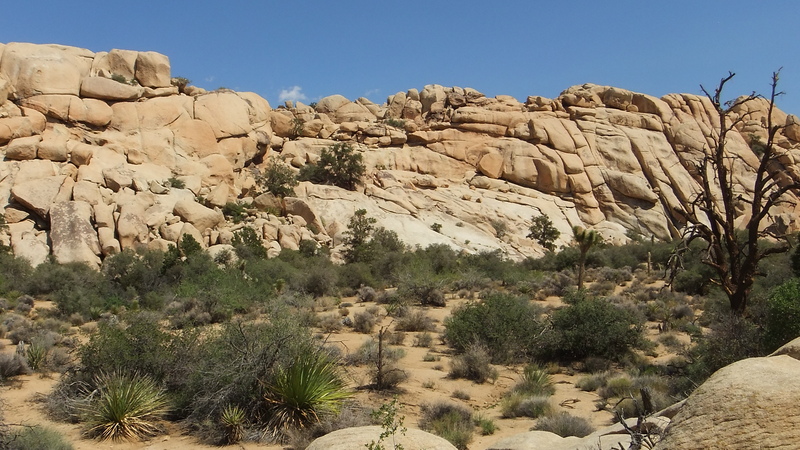 This unusual erosional remnant is found at the base of Little Hunk’s west side. 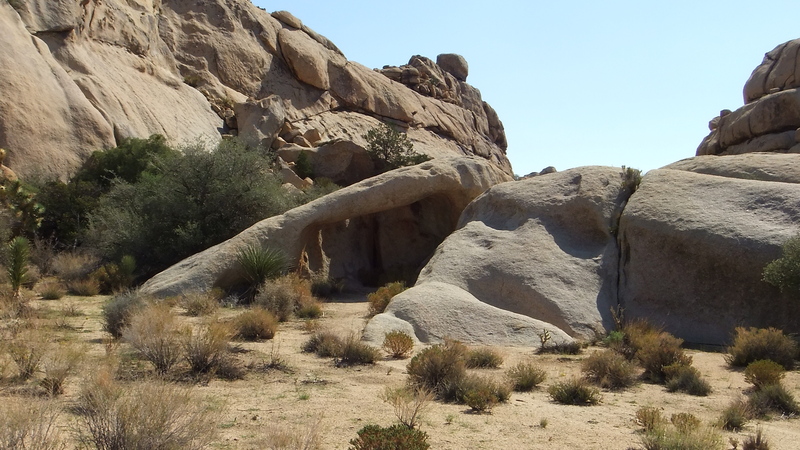 This low-slung overhanging wall known as Peyote Cracks formation is 250 yards across the way roughly between Hidden Valley Campground and Echo Cove. 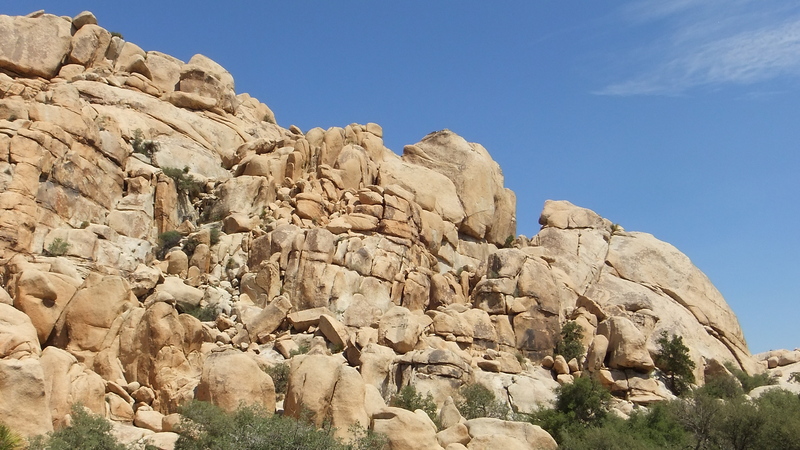 Its east face is overhanging and contains a number of excellent and difficult routes that climbers find challenging. 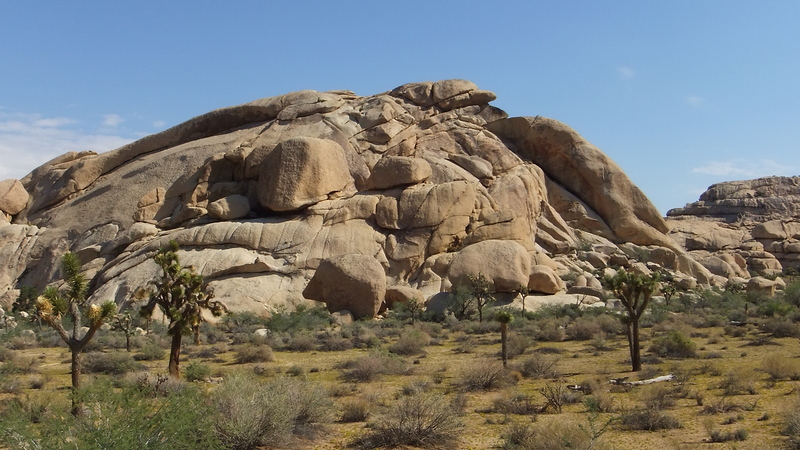 Climbs include “Dimp for a Chimp,” “The Moonbeam Crack,” “Baby Apes,” “Rastafarian,” “The Watusi,” “Dial Africa,” “Apartheid,” and “Buffalo Soldier,” all but two of these rating 5.12 difficulty, with “The Moonbeam Crack” reserved for true professionals at 5.13a two-stars. 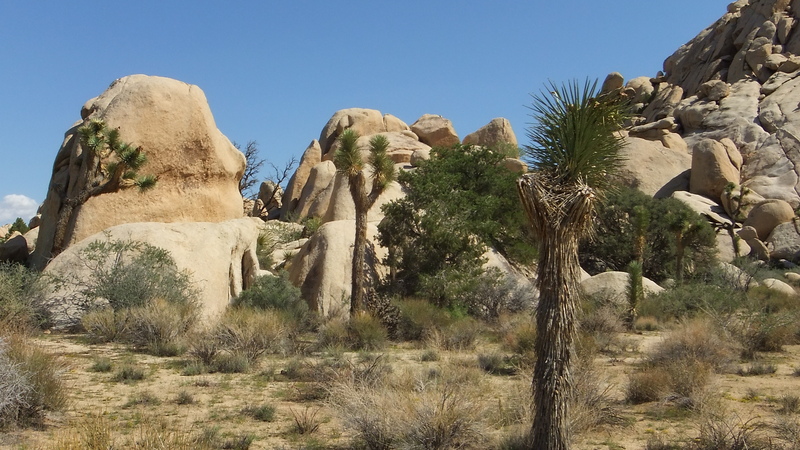 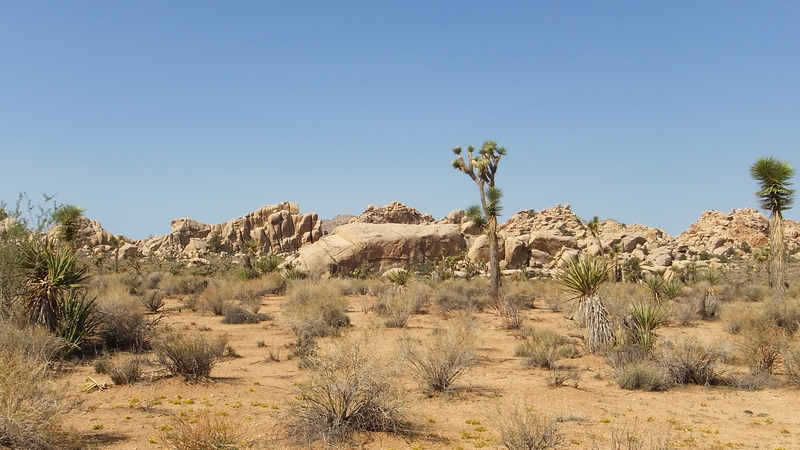 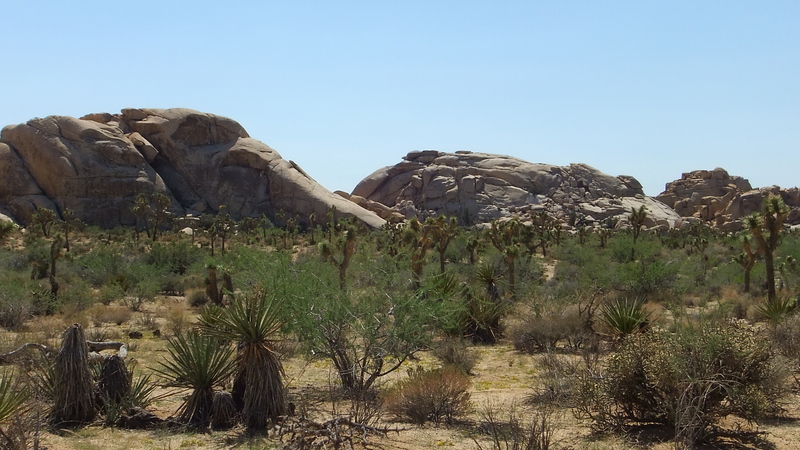 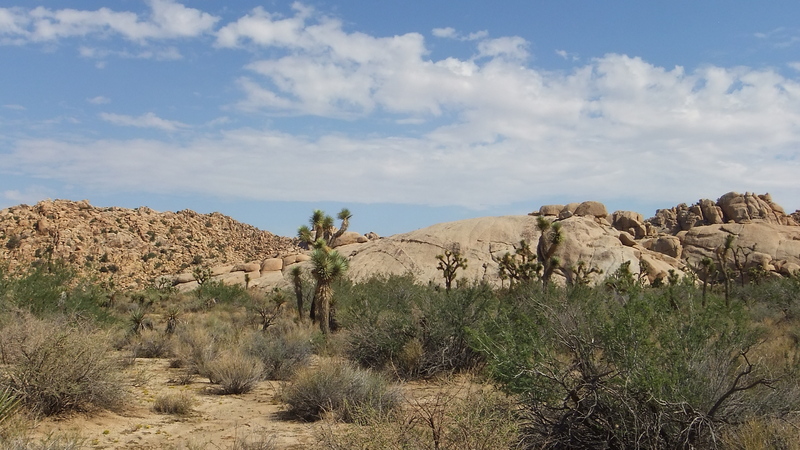 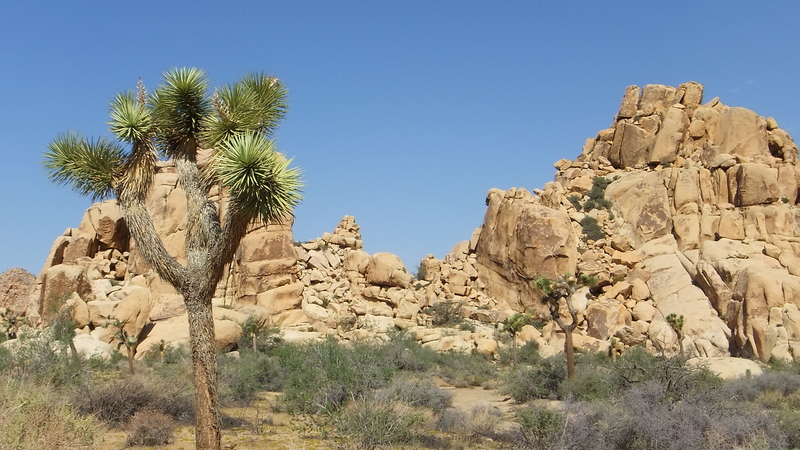 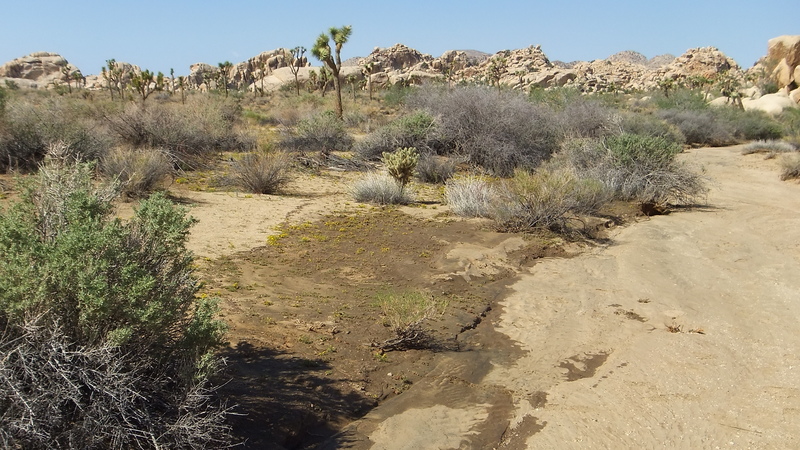 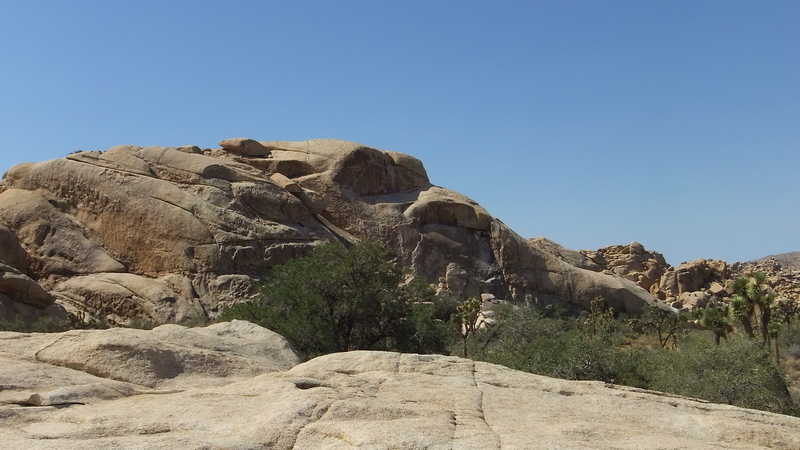 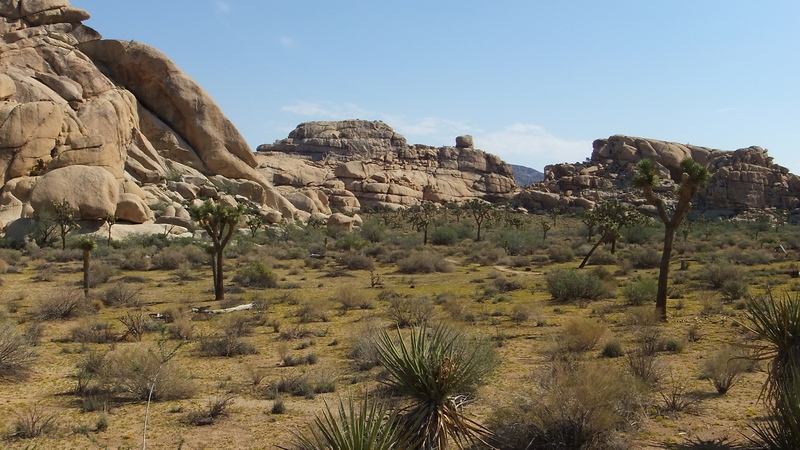 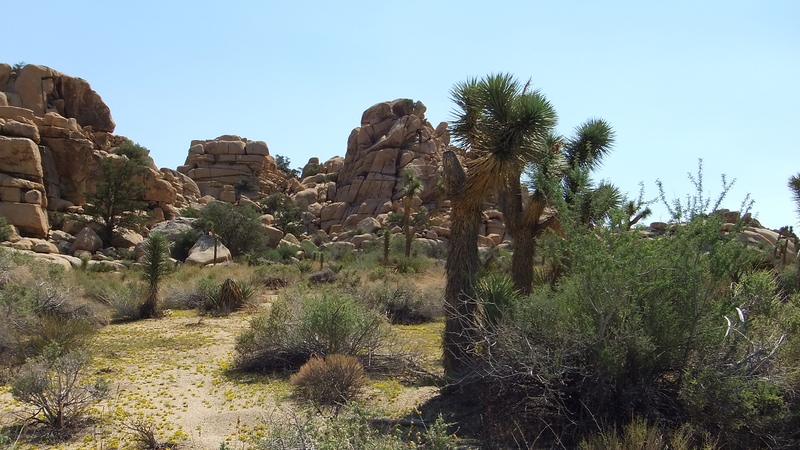 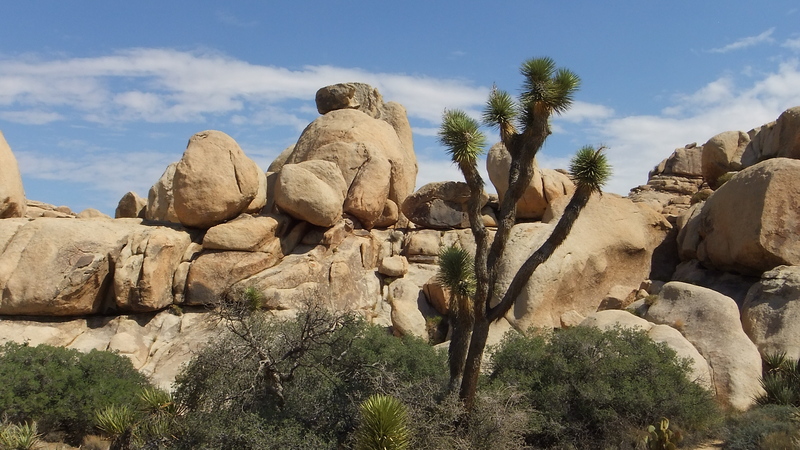 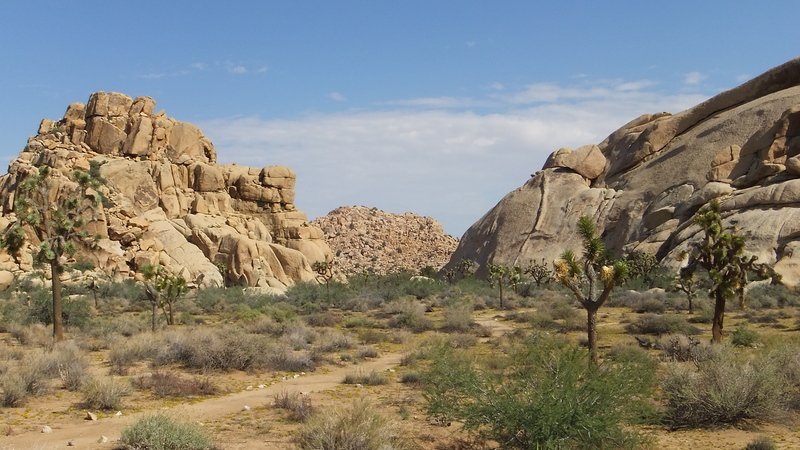 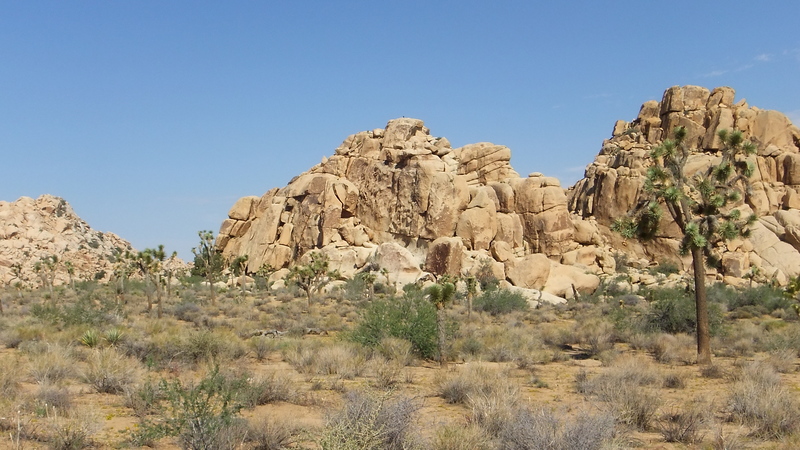 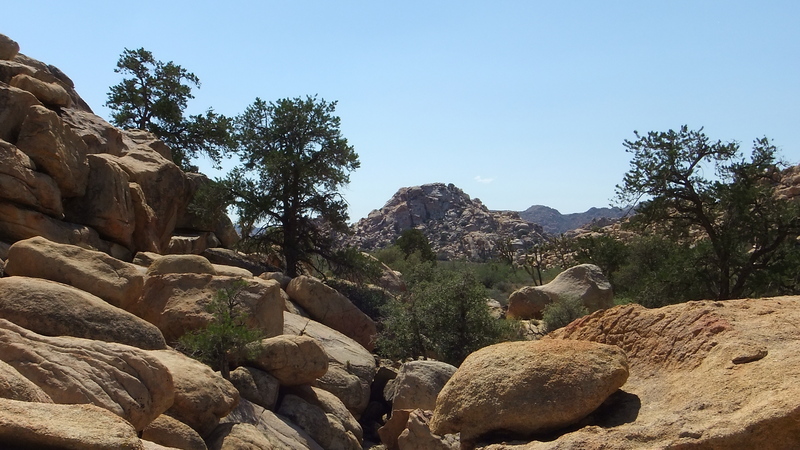 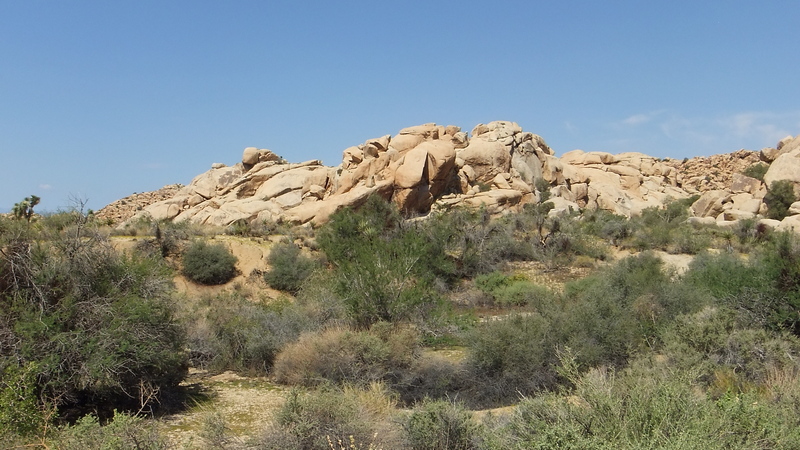 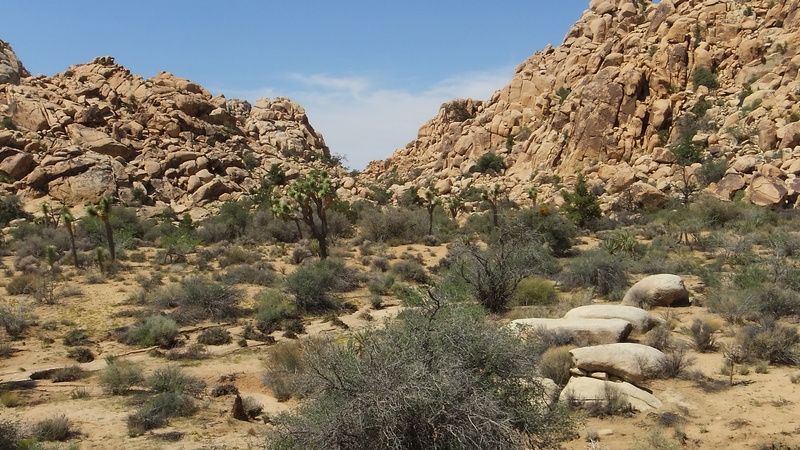 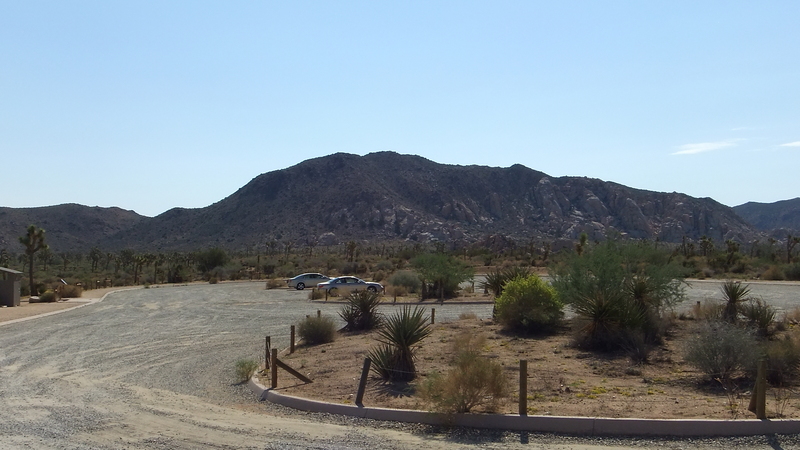 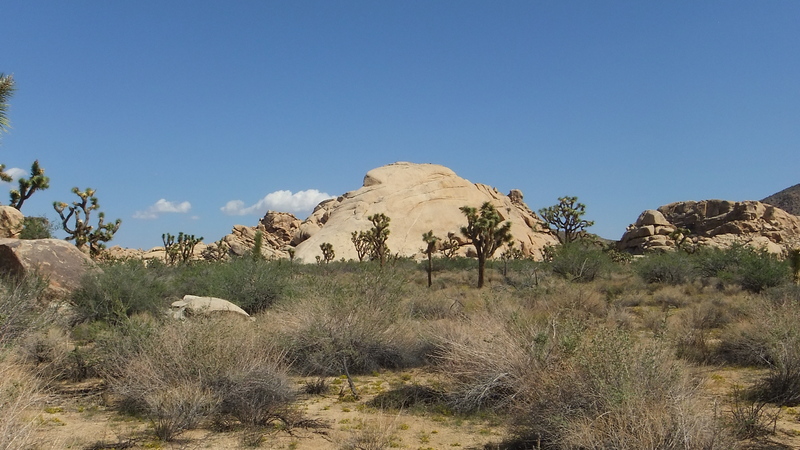 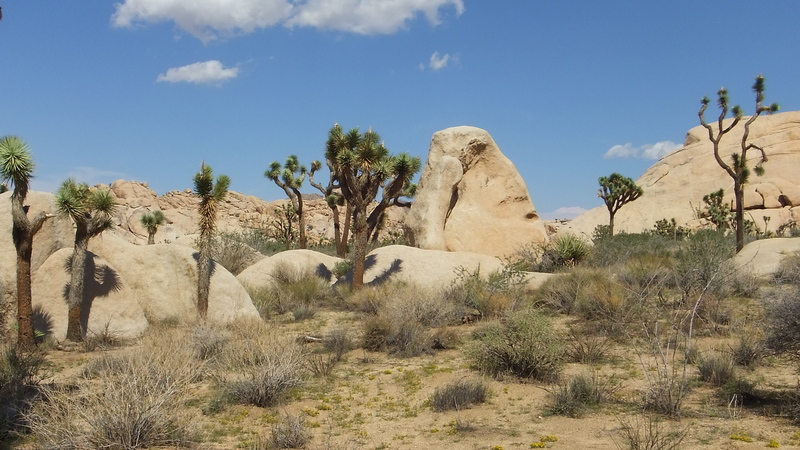 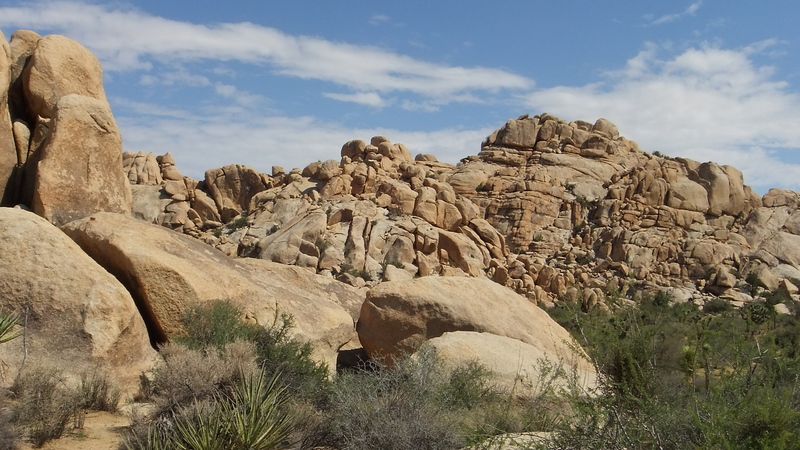 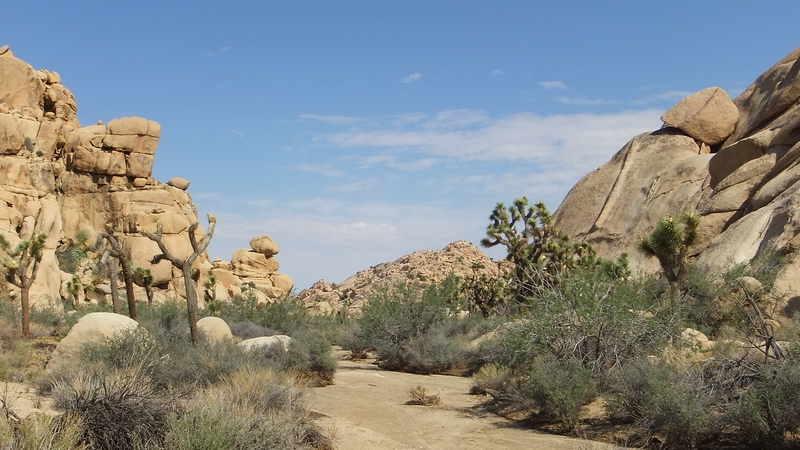 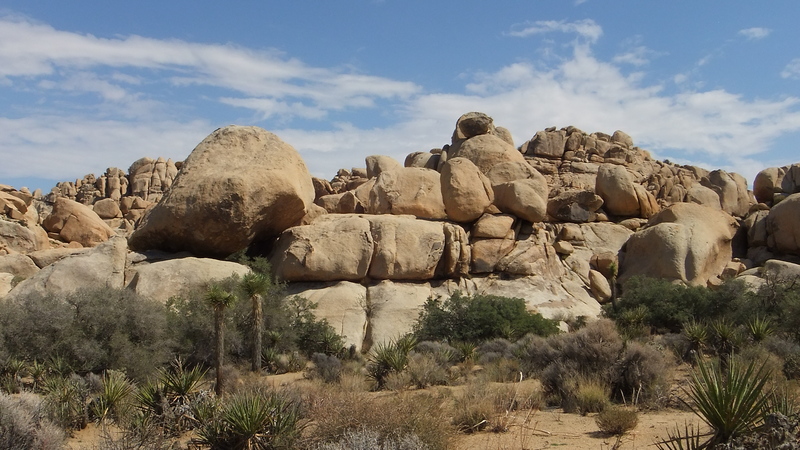 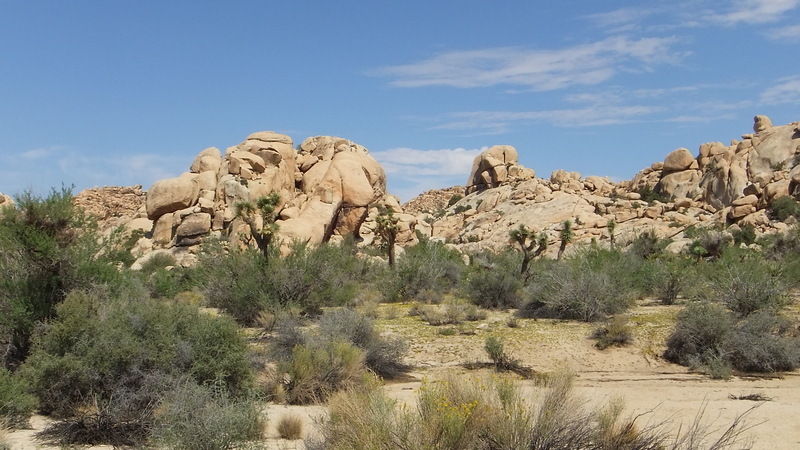 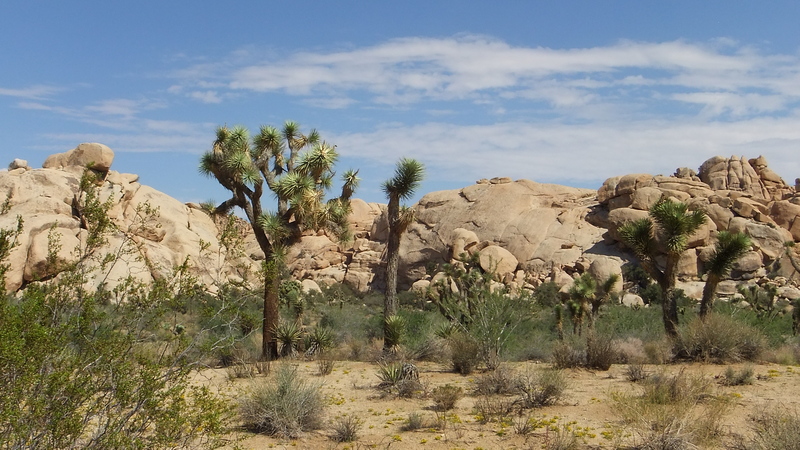 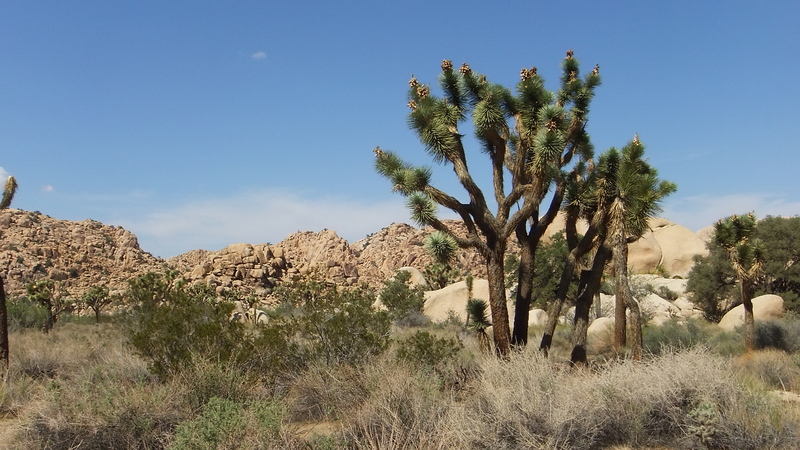 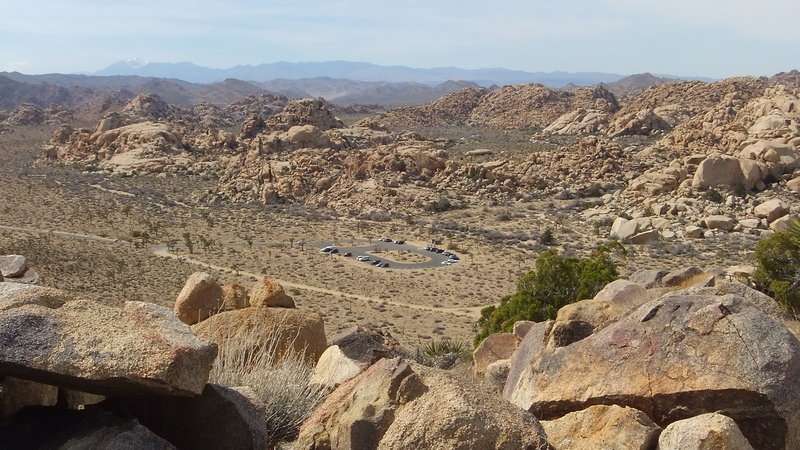 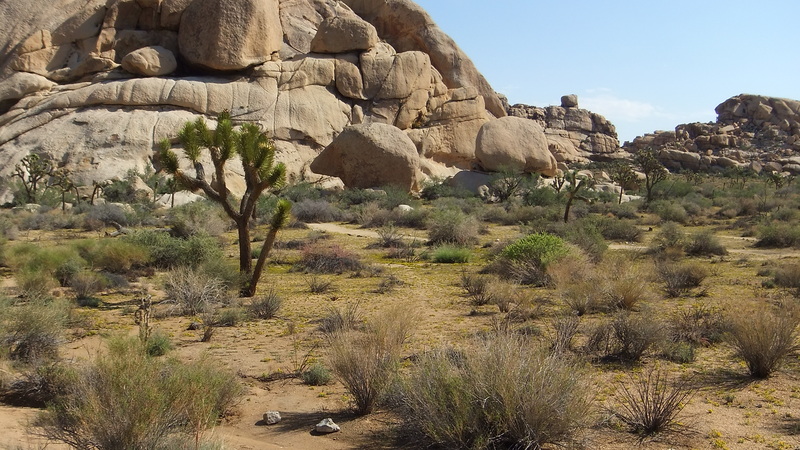 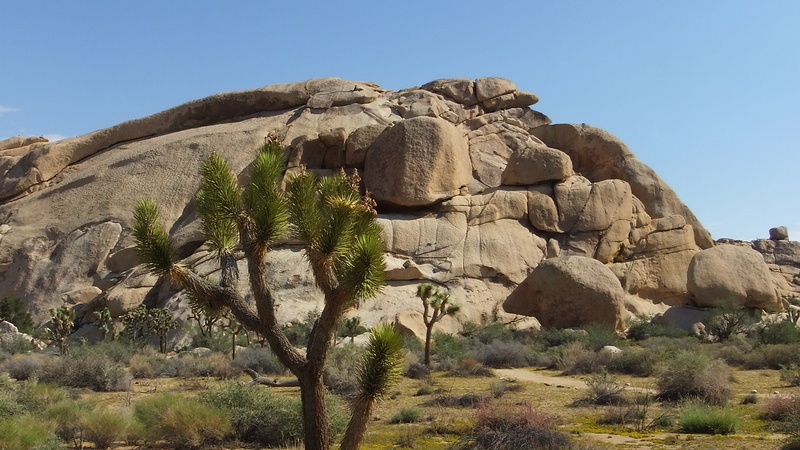 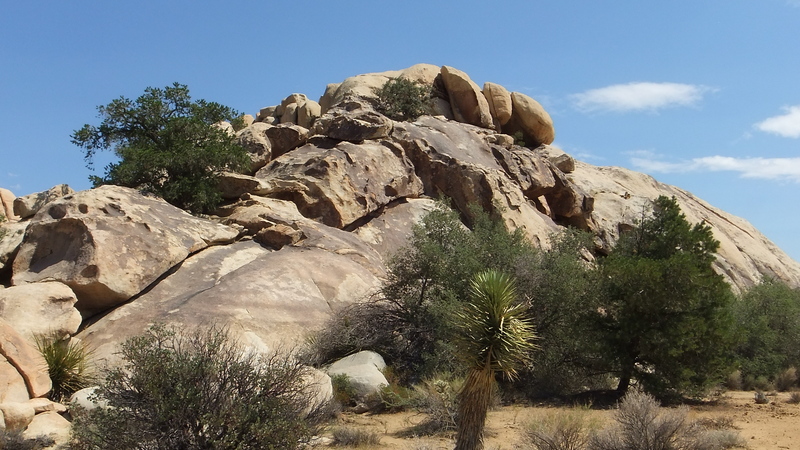 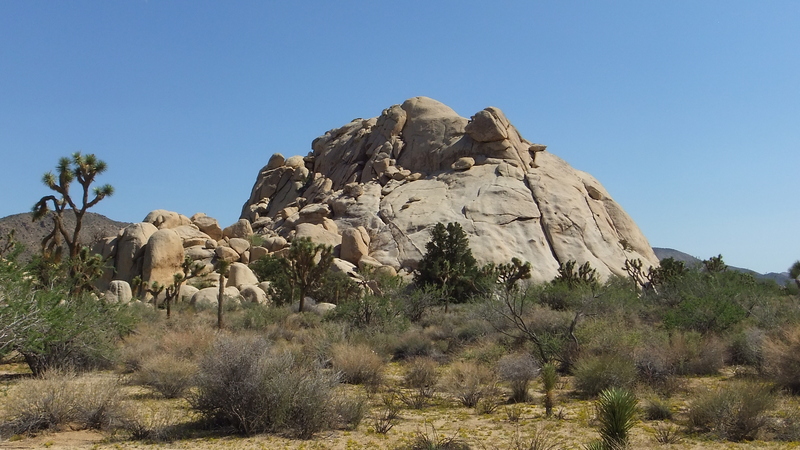 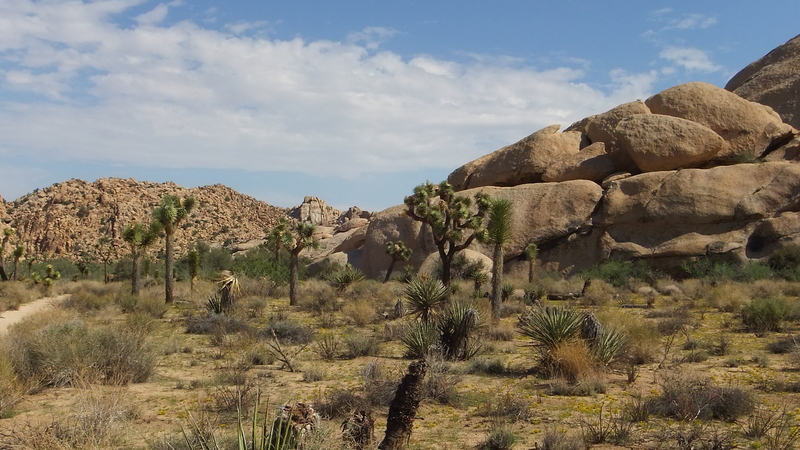 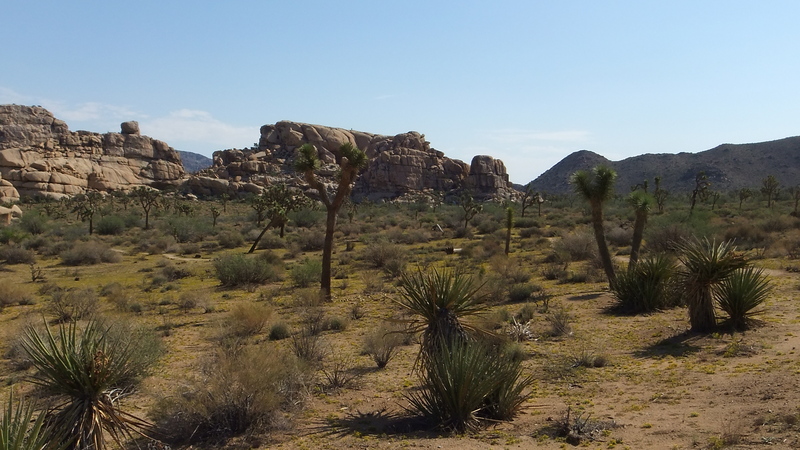 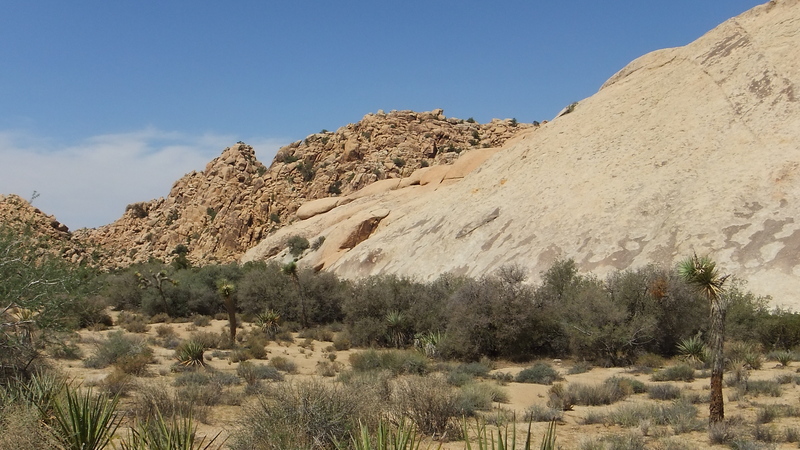 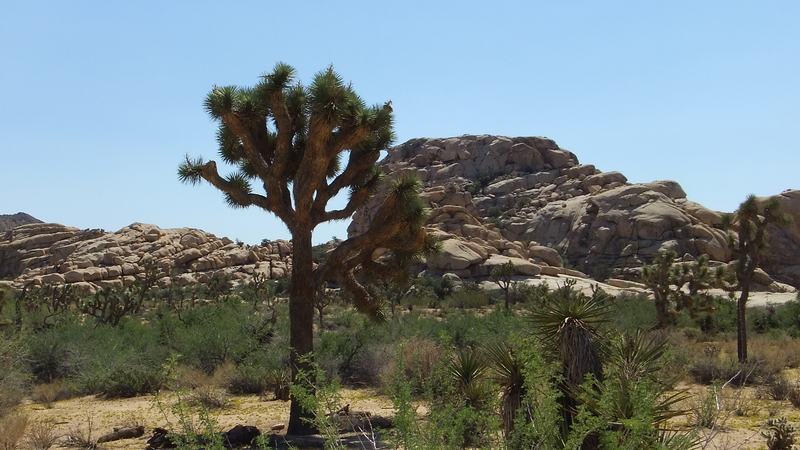 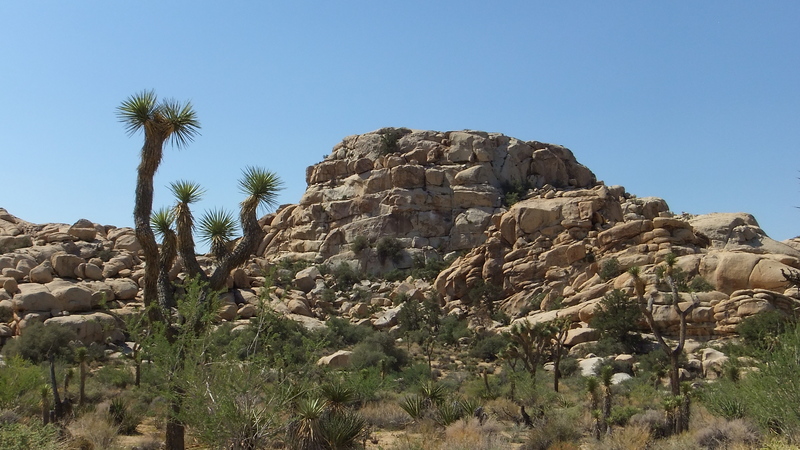 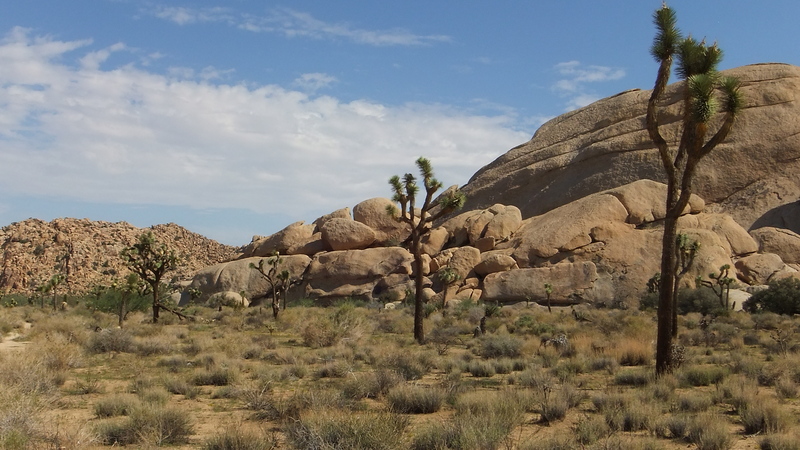 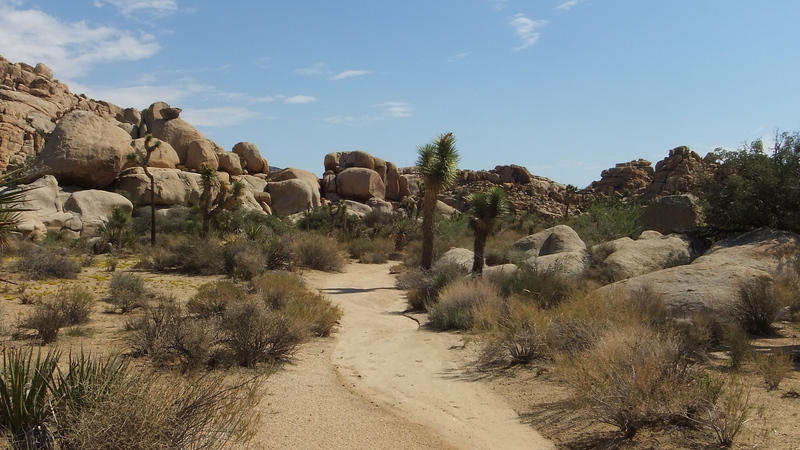 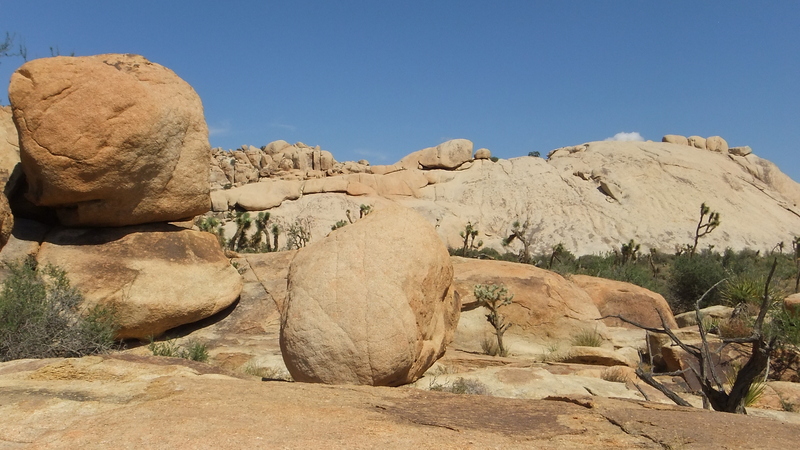 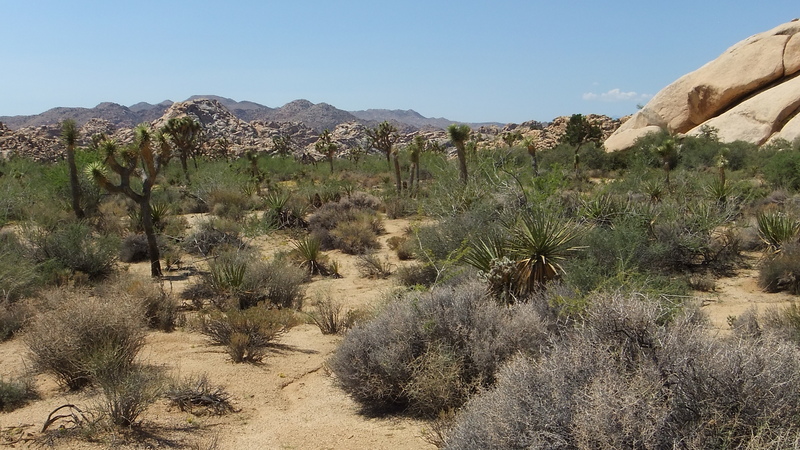 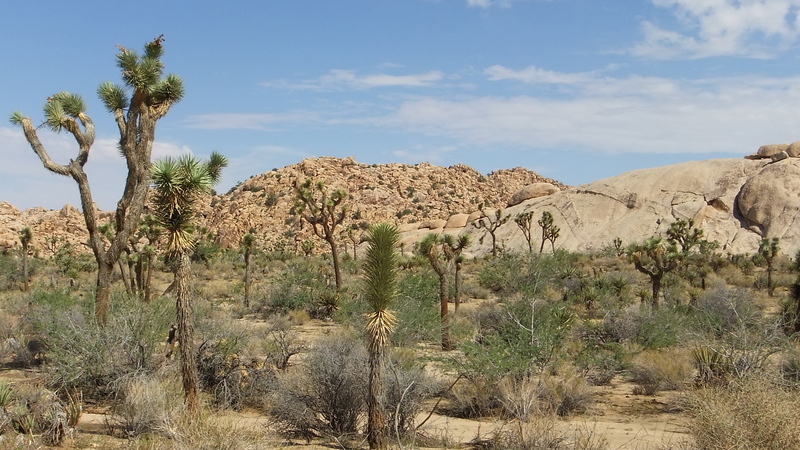 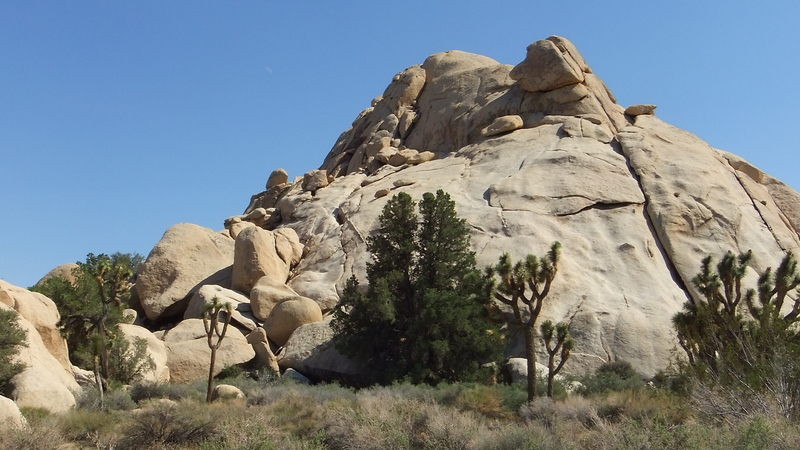 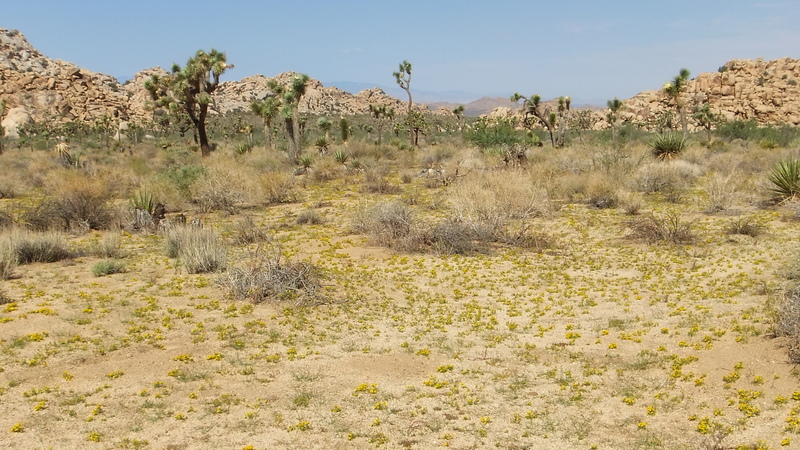 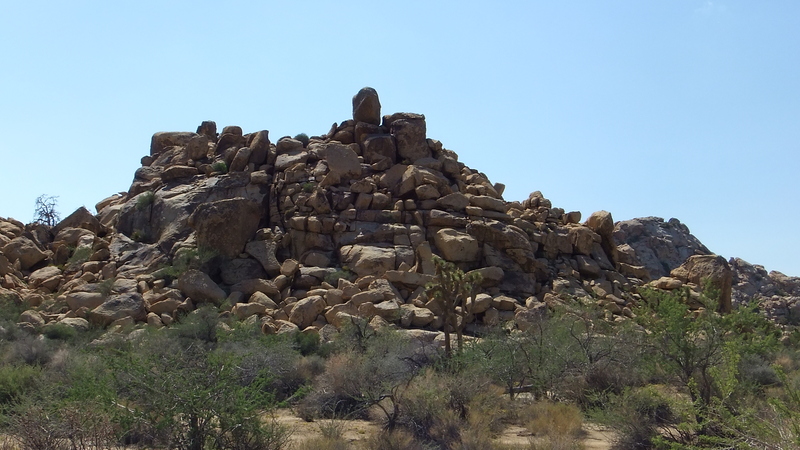 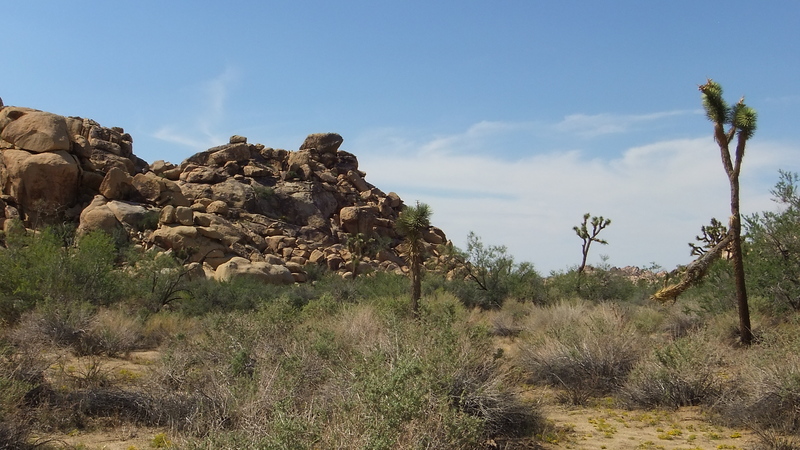 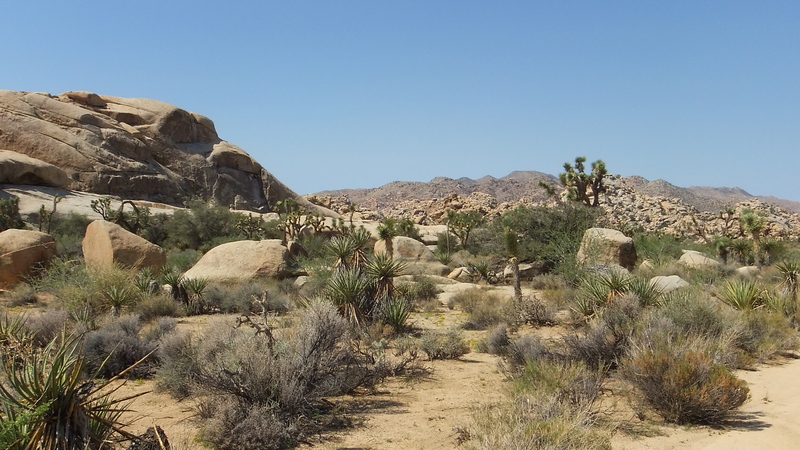 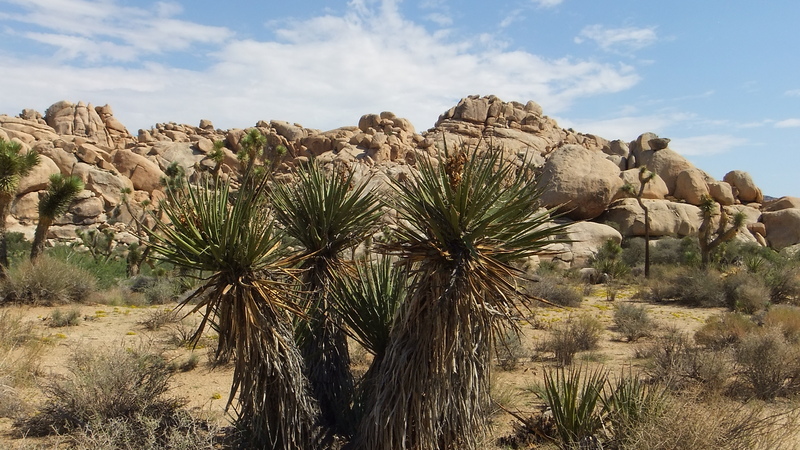 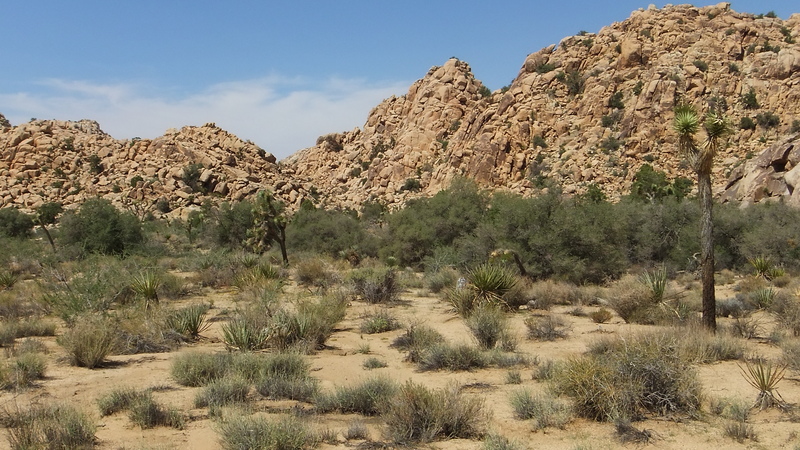 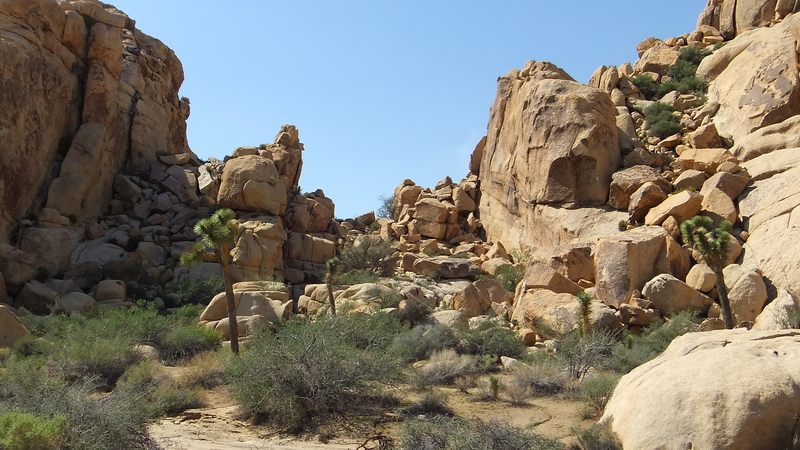 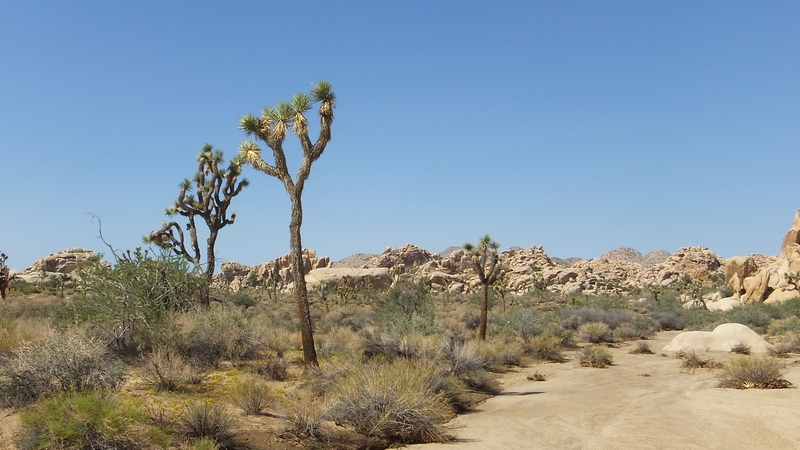 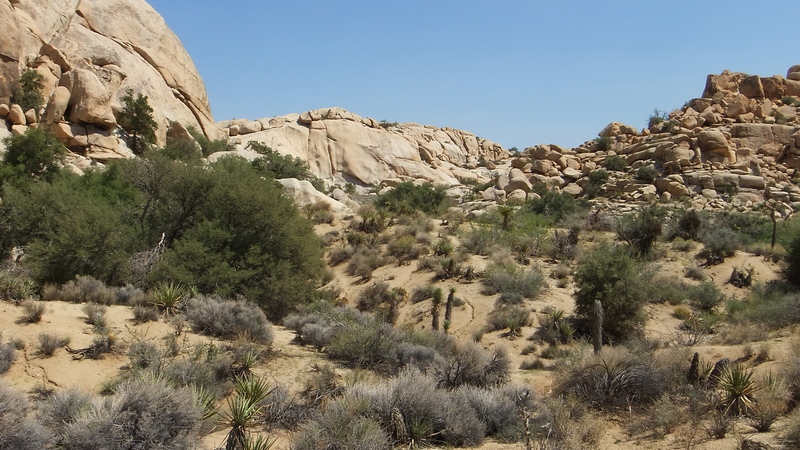 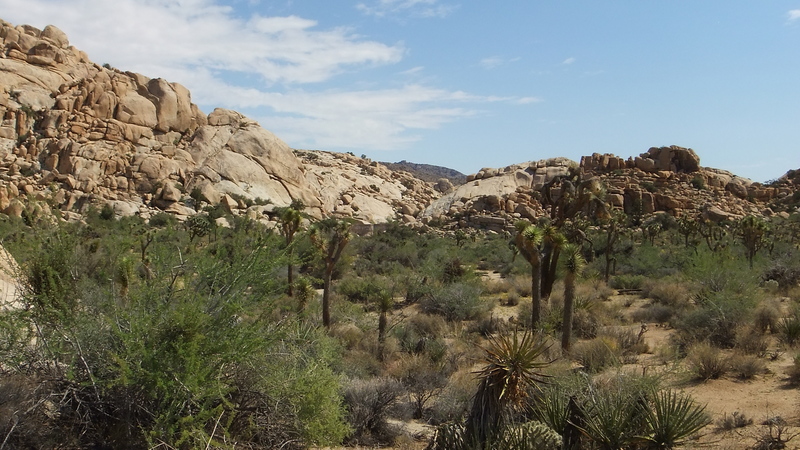 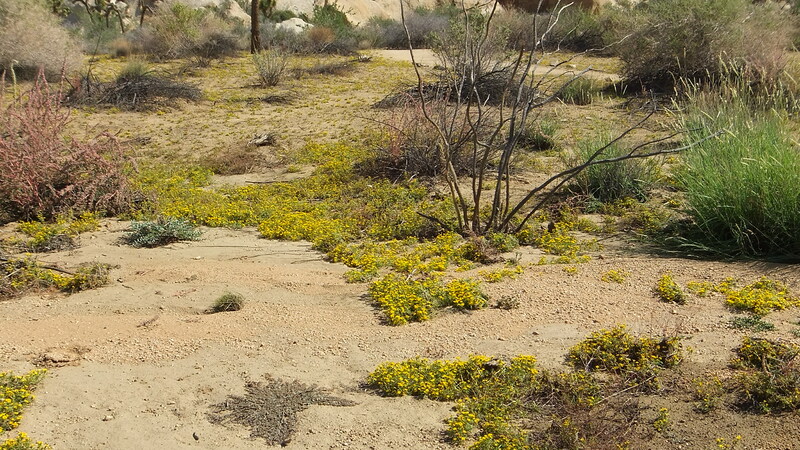 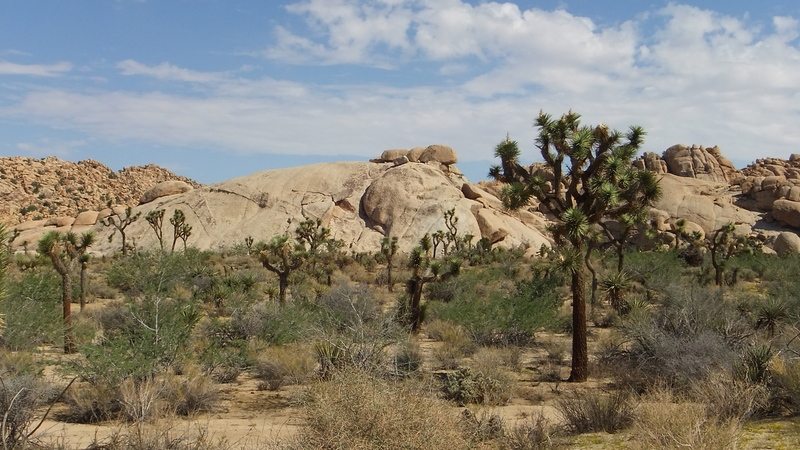 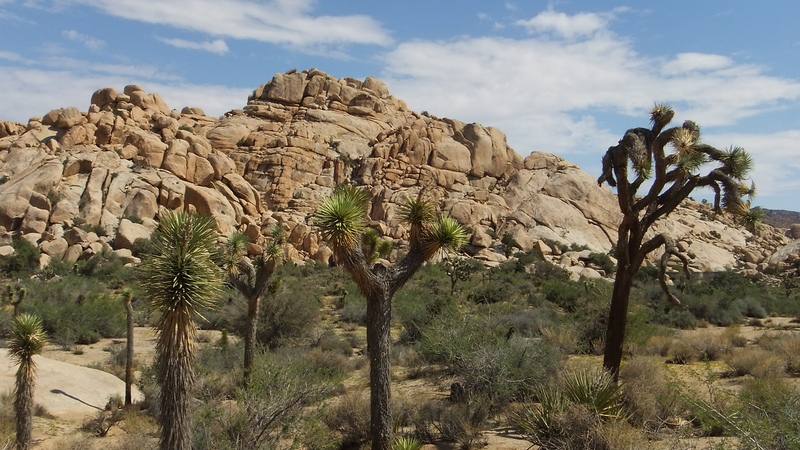 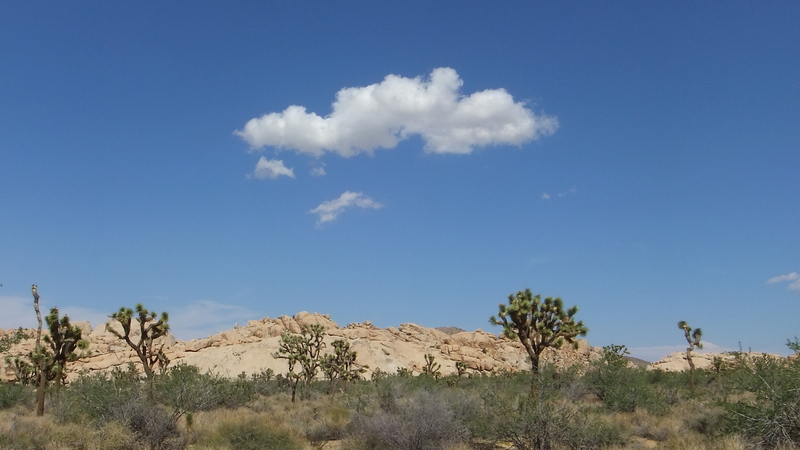 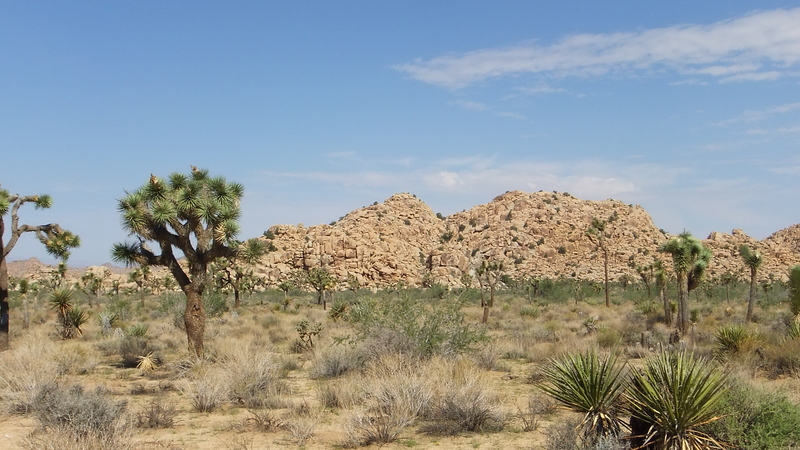 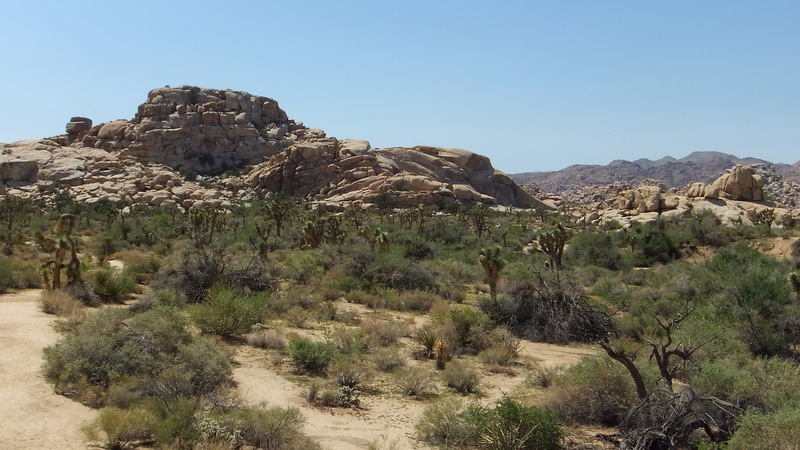 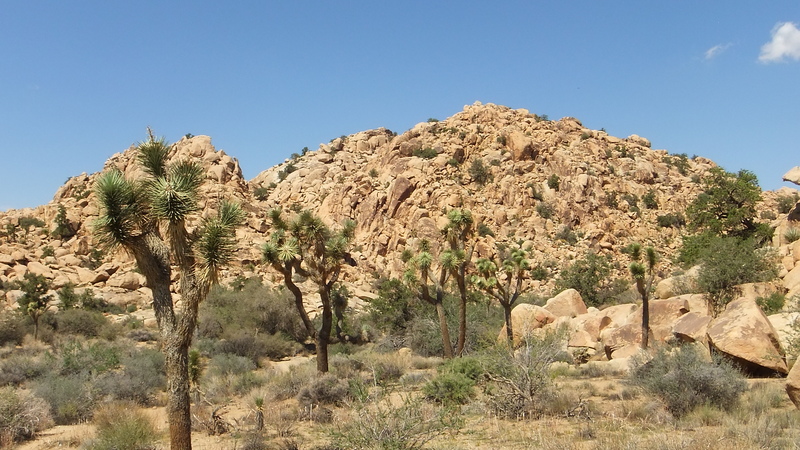 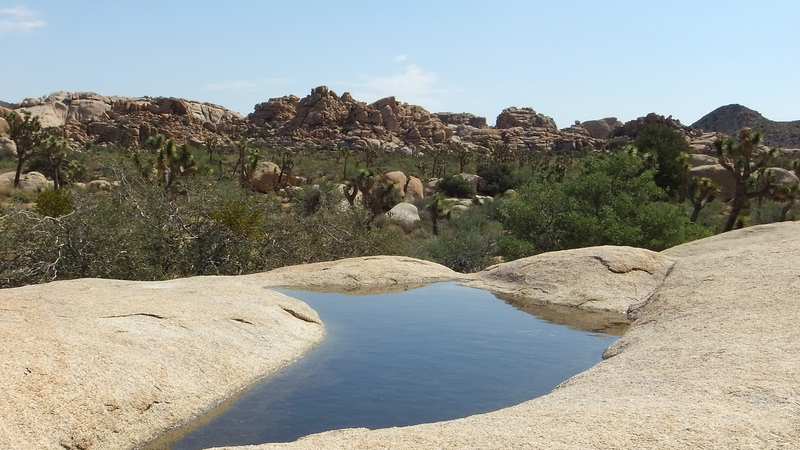 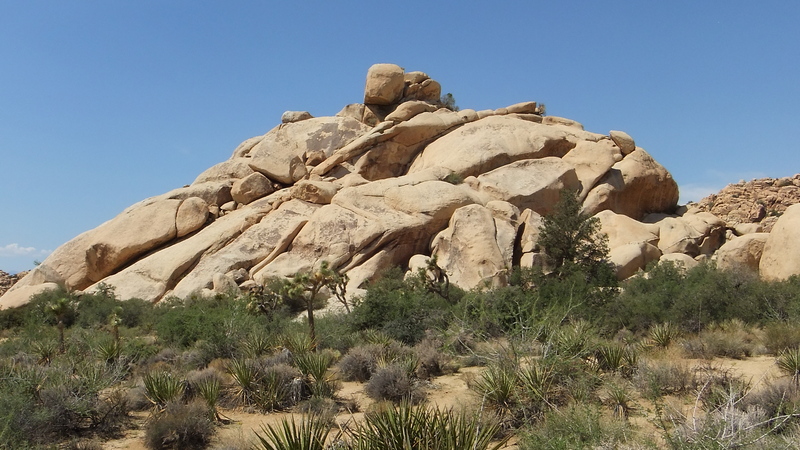 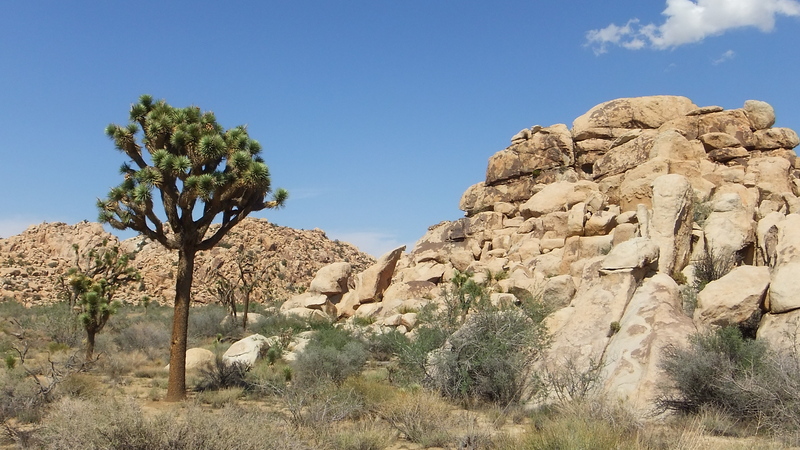 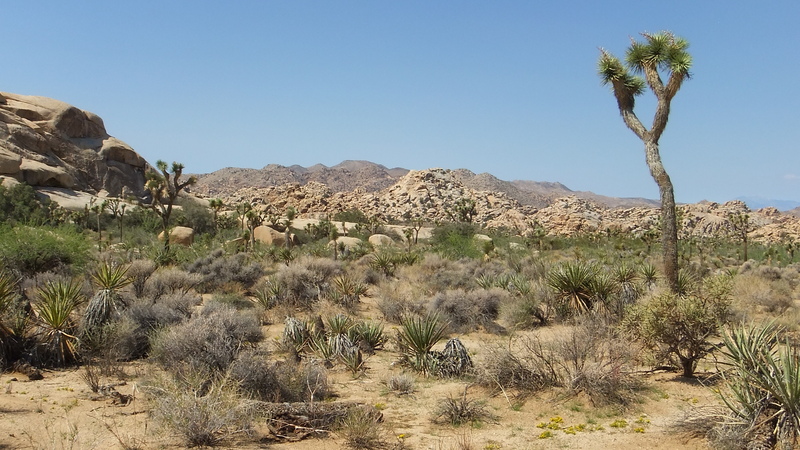 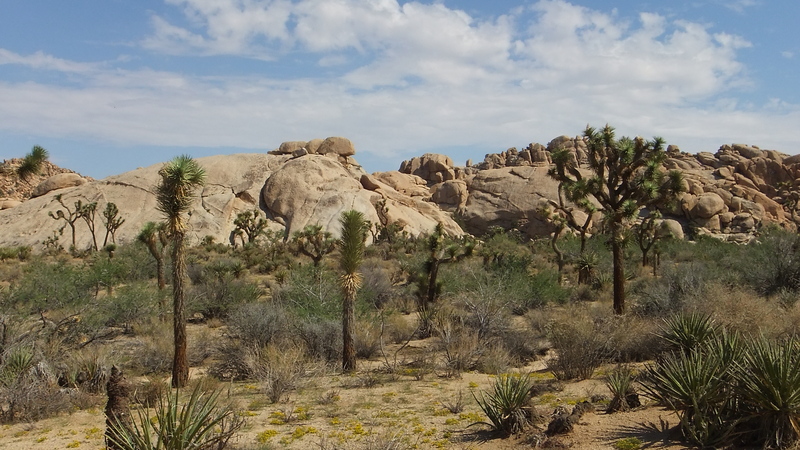 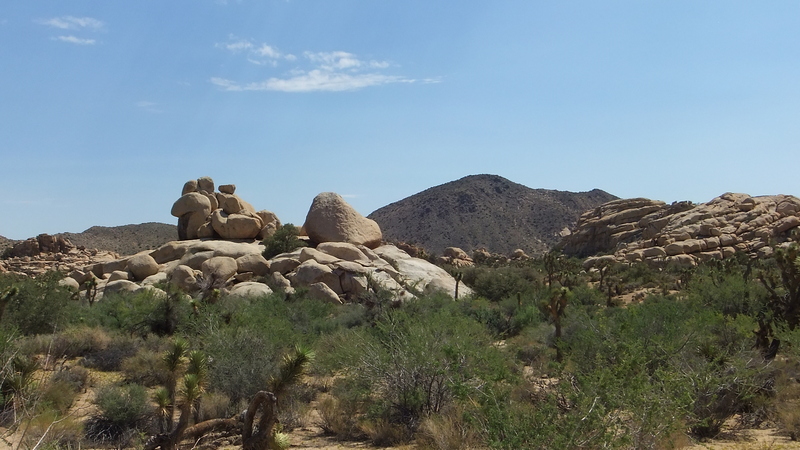 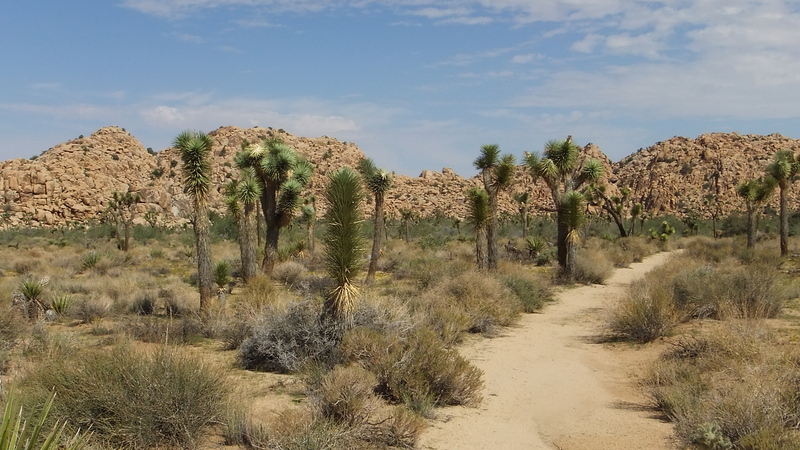 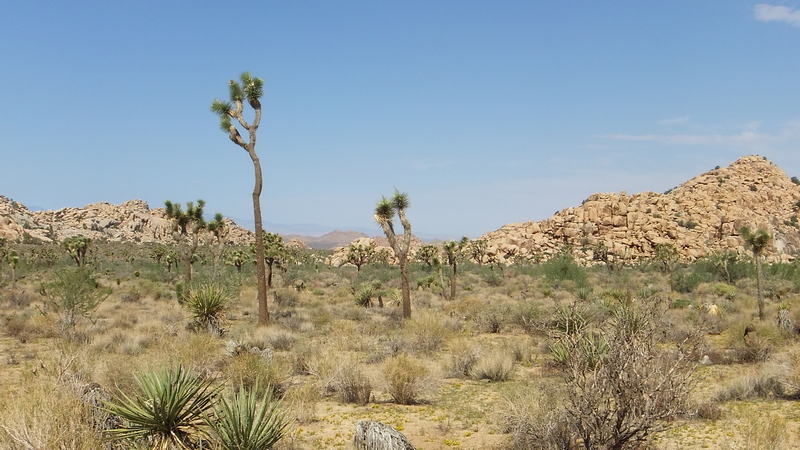 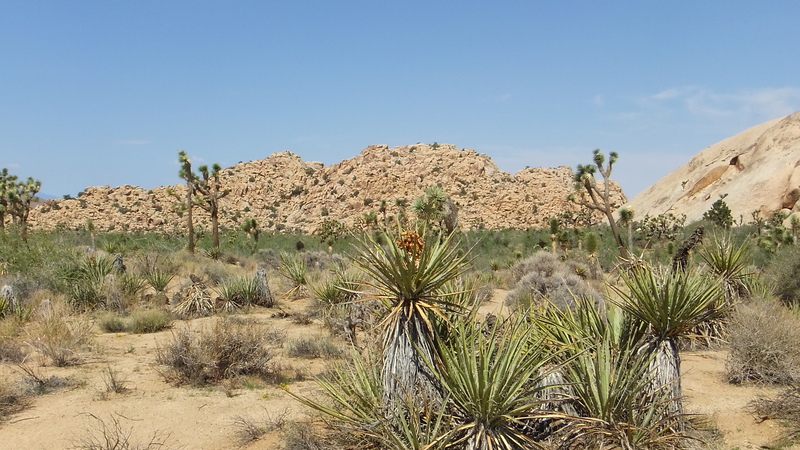 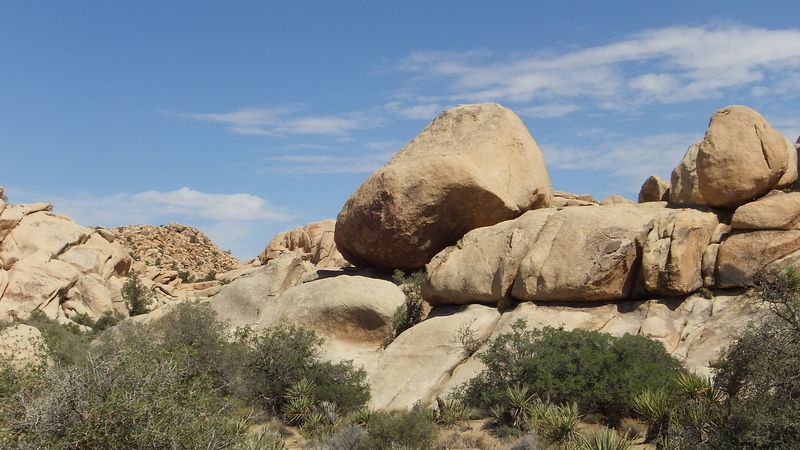 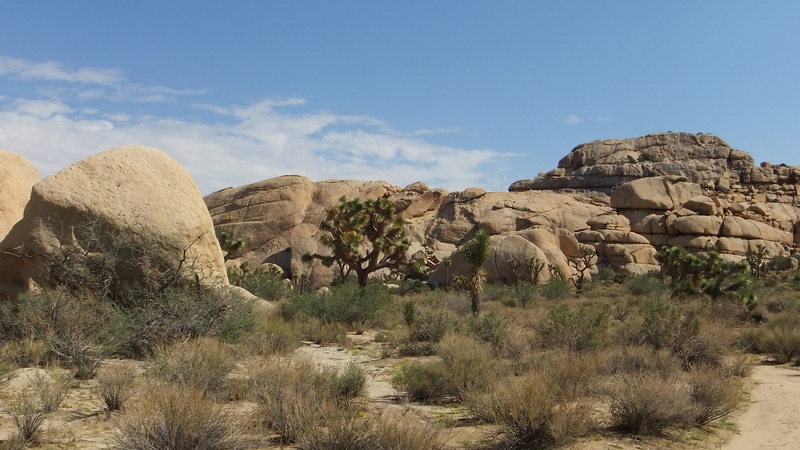 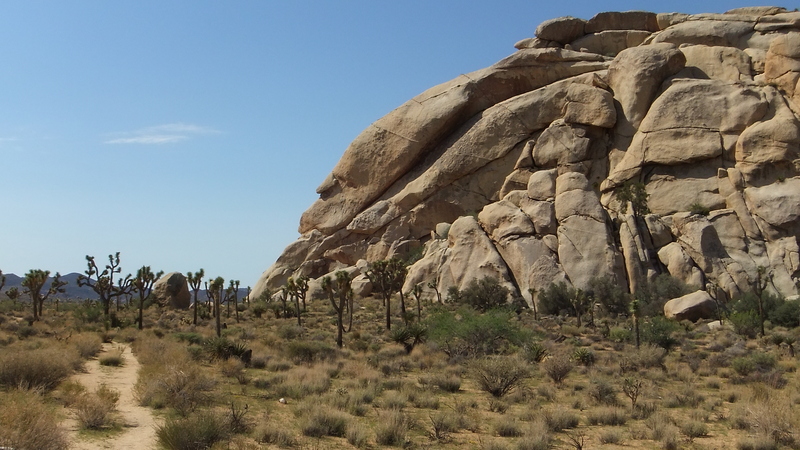 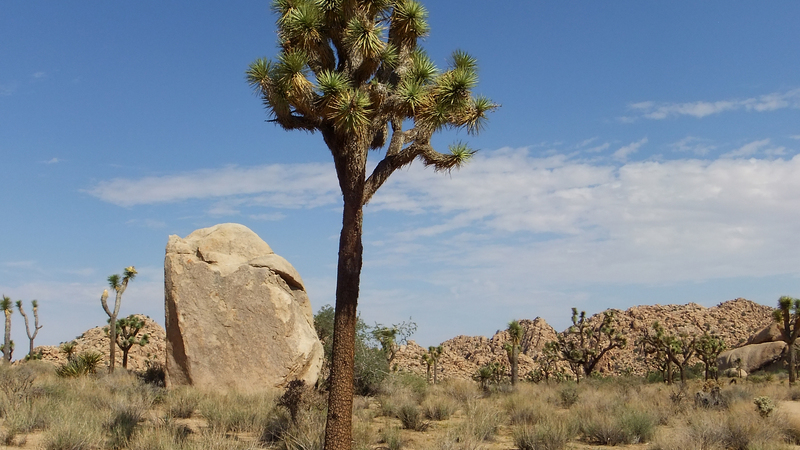 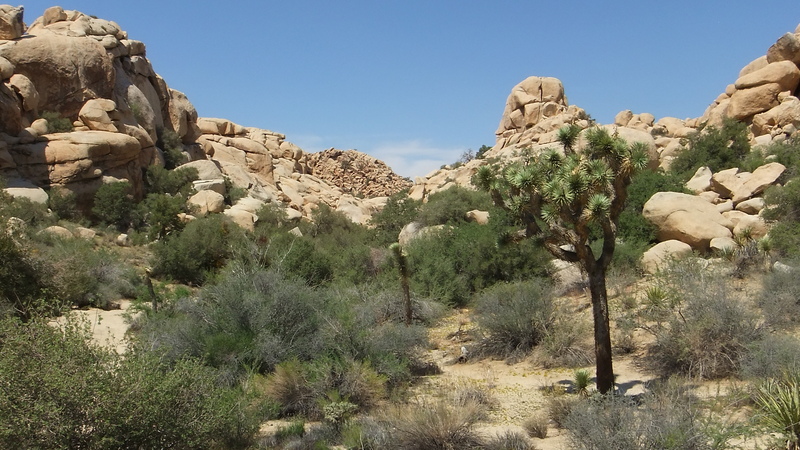 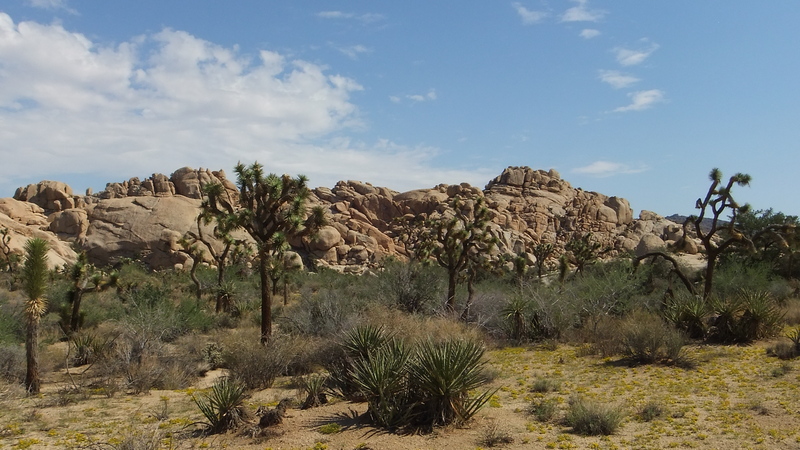 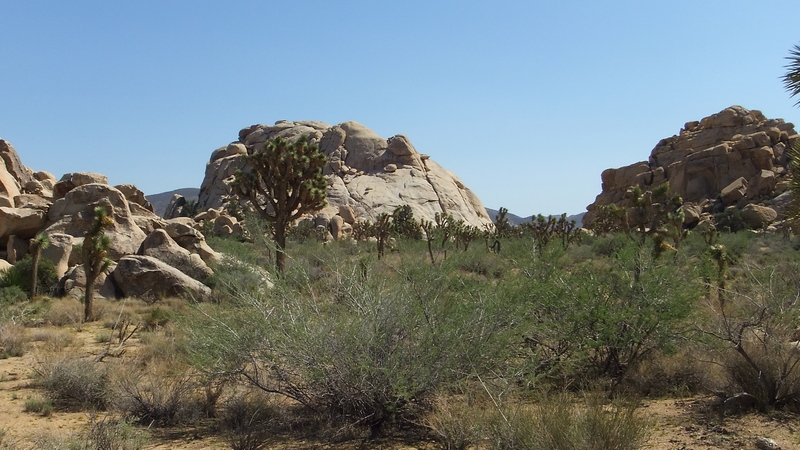 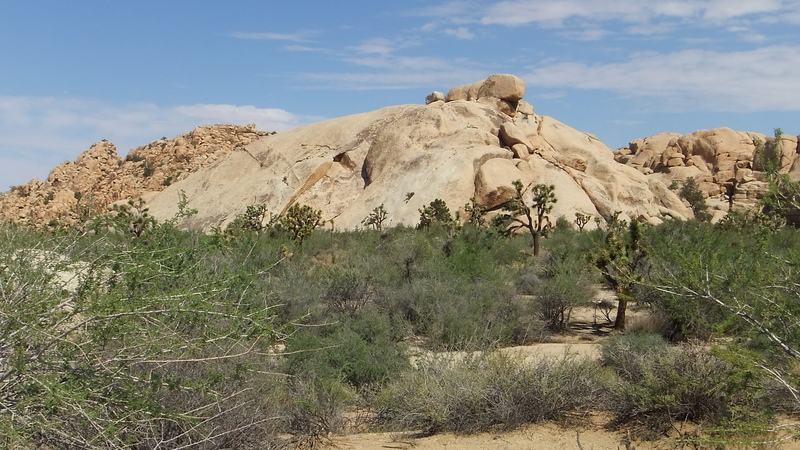 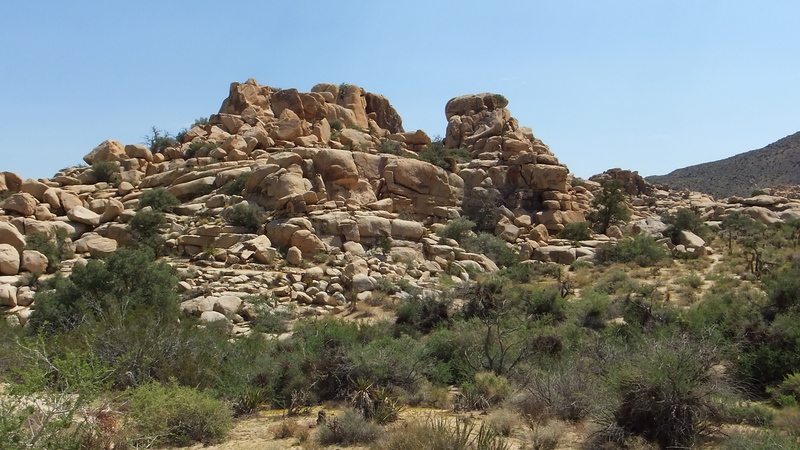 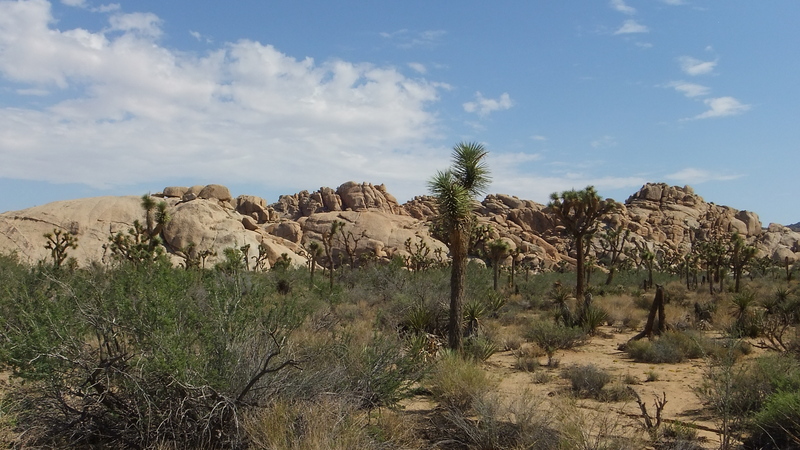 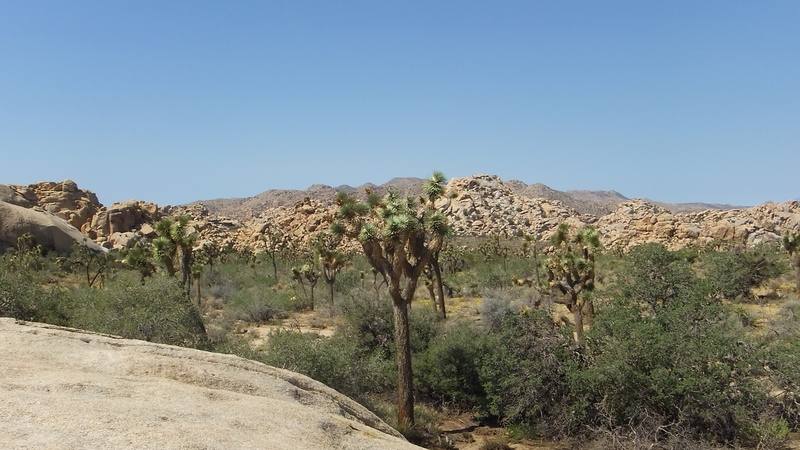 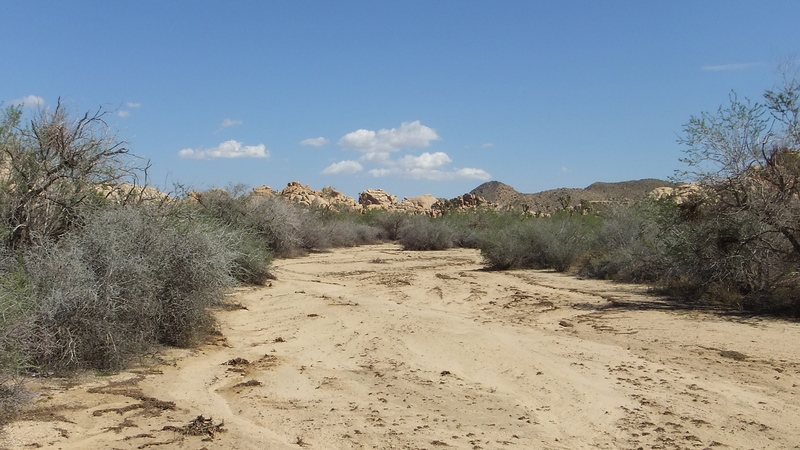 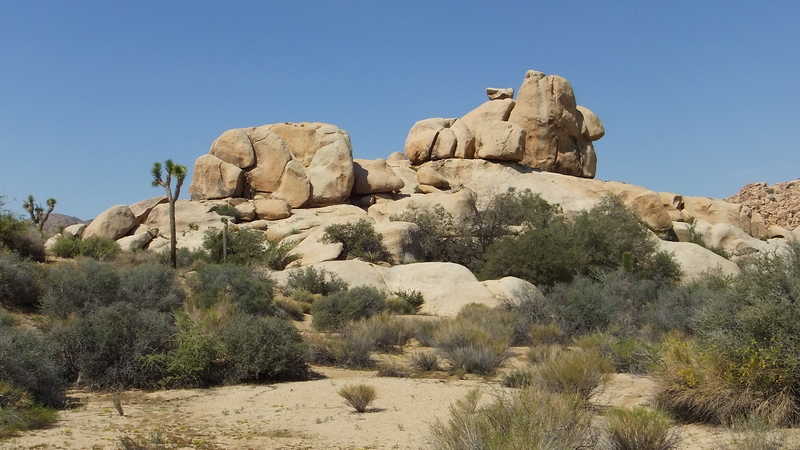 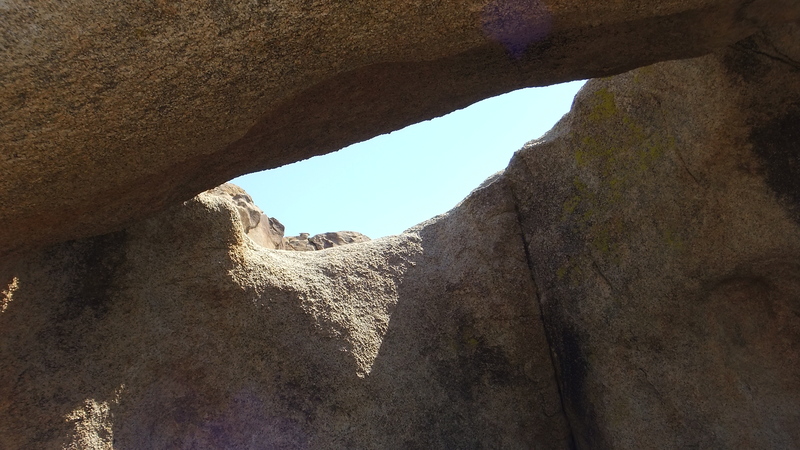 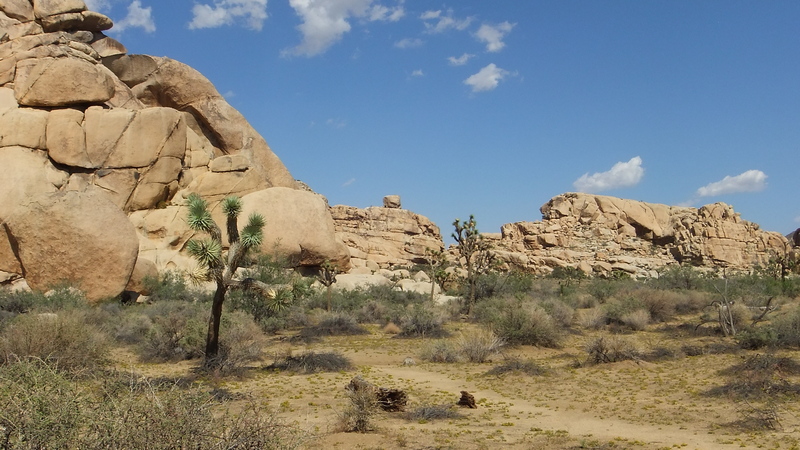 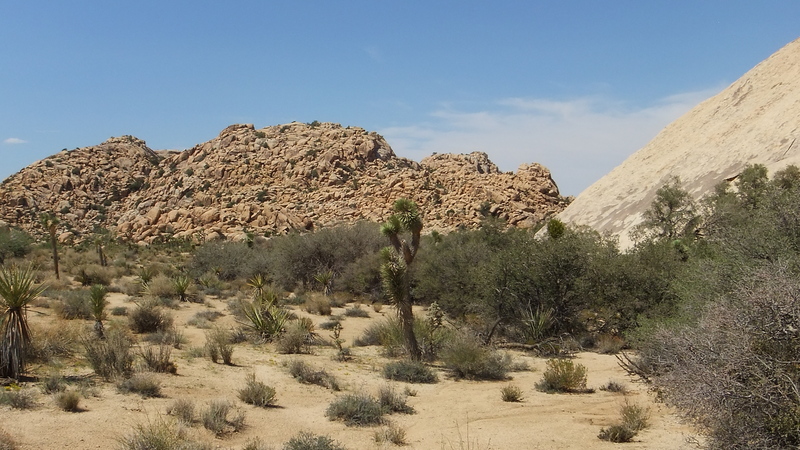 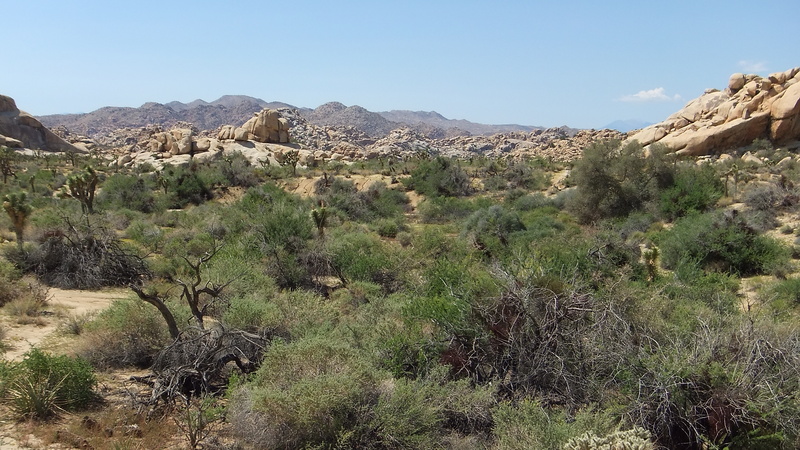 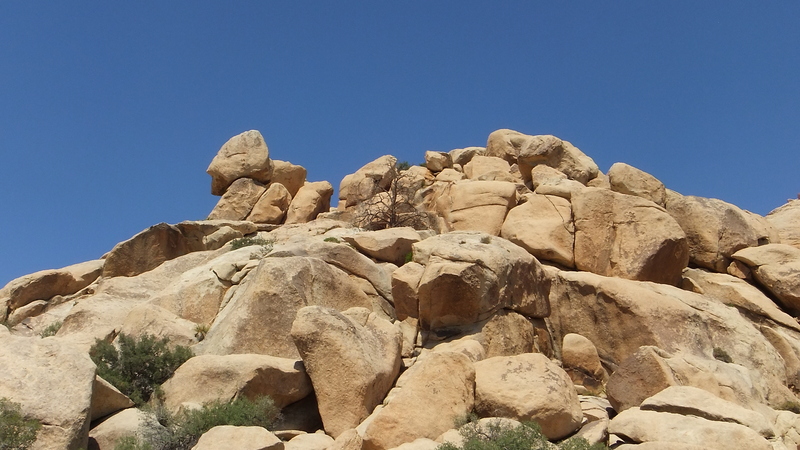 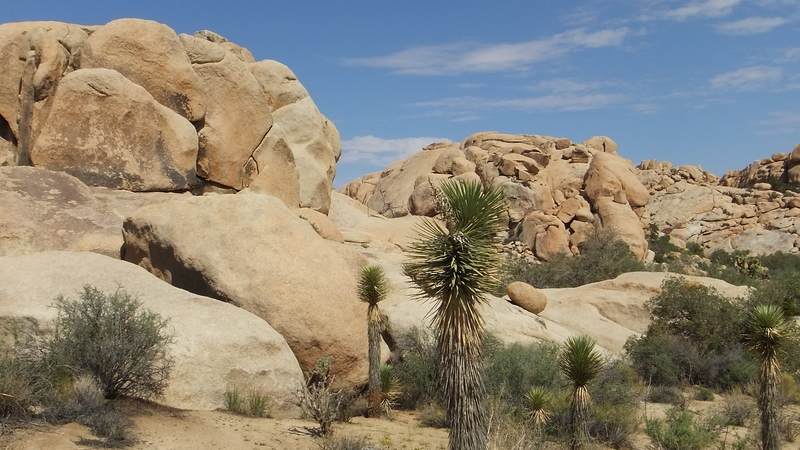 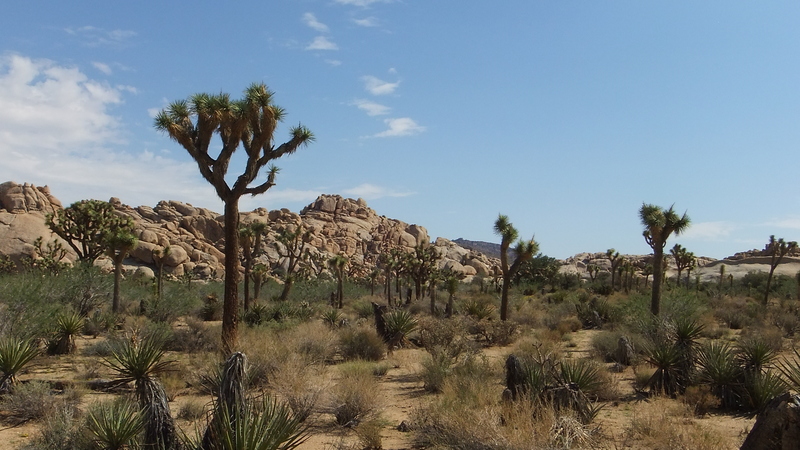 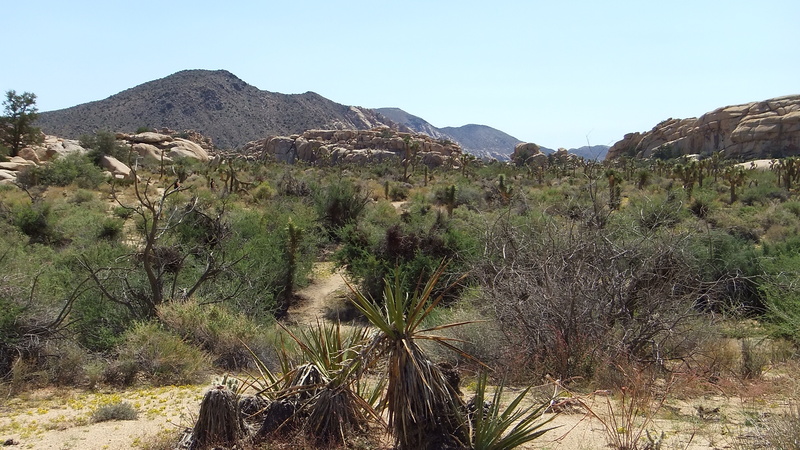 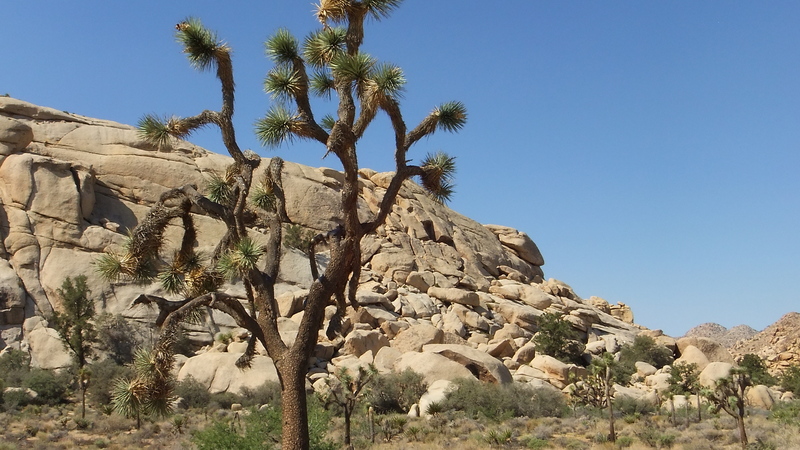 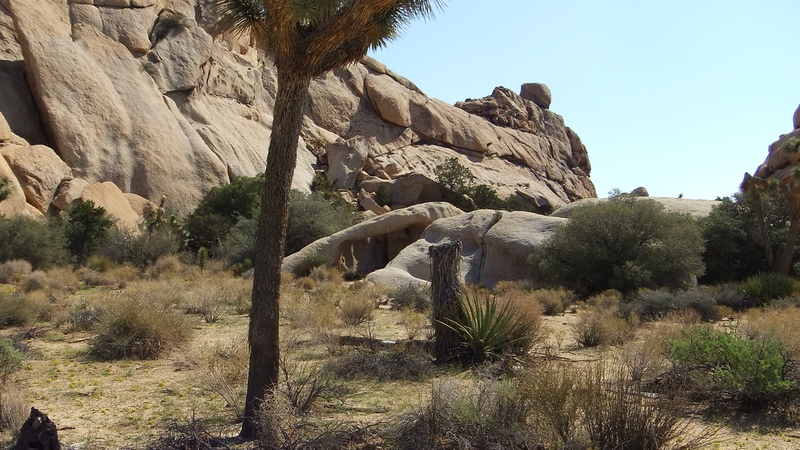 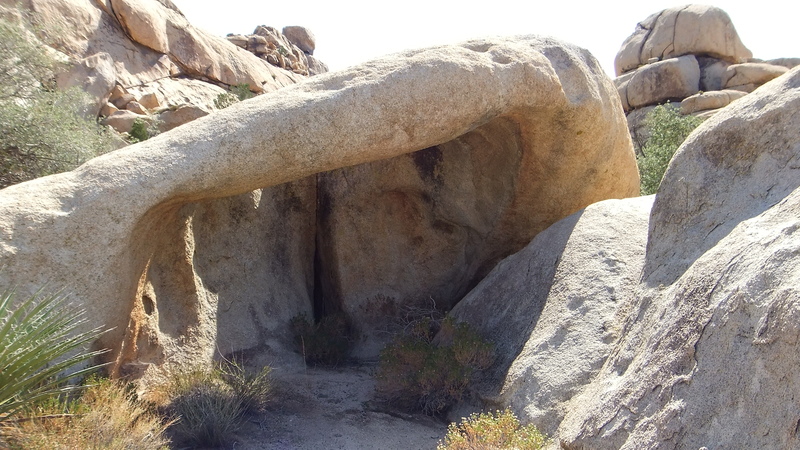 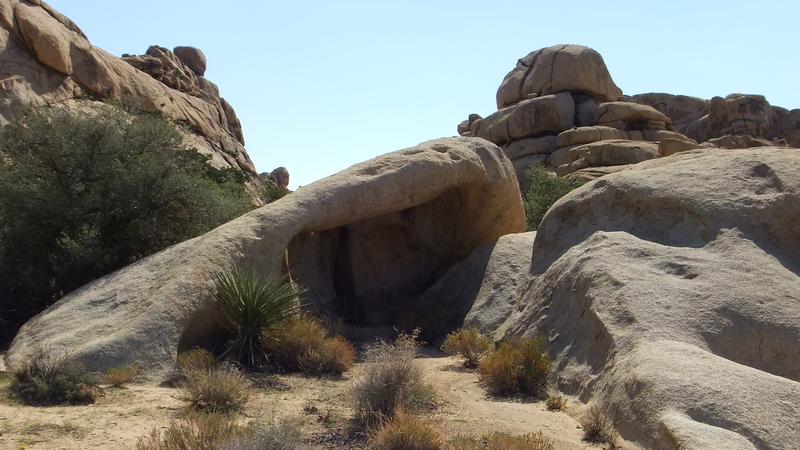 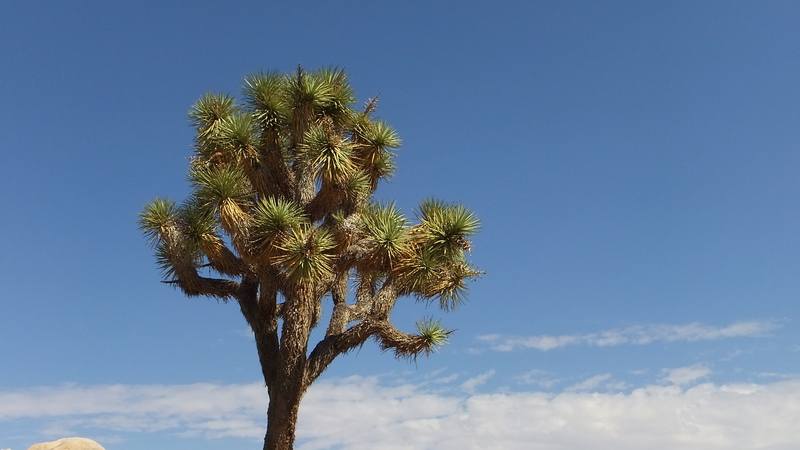 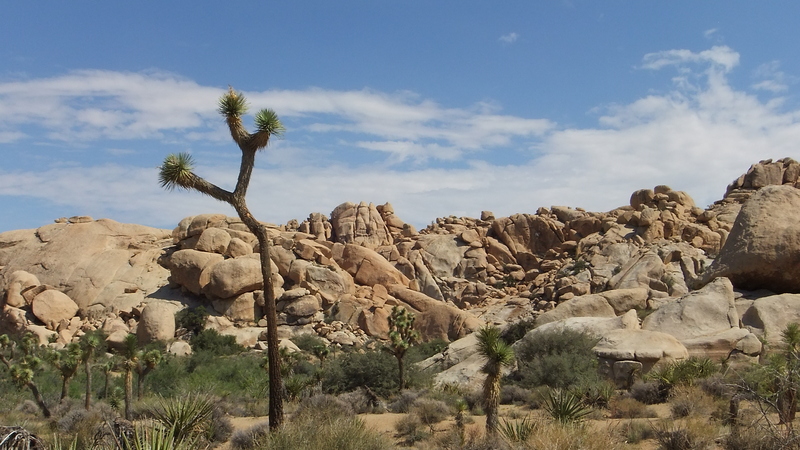 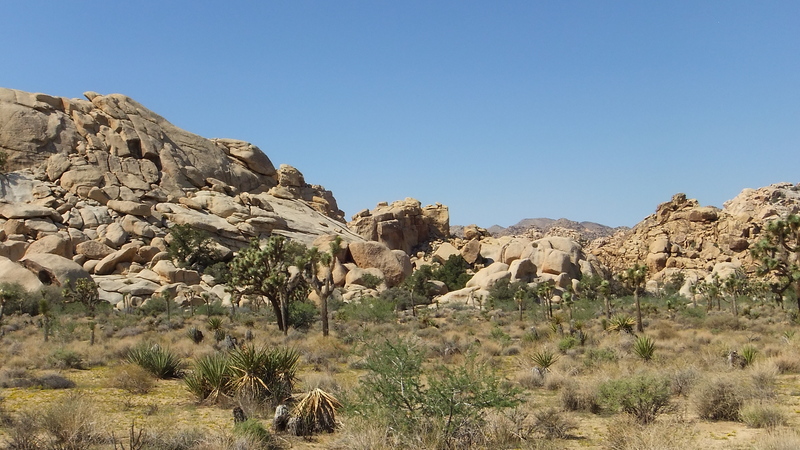 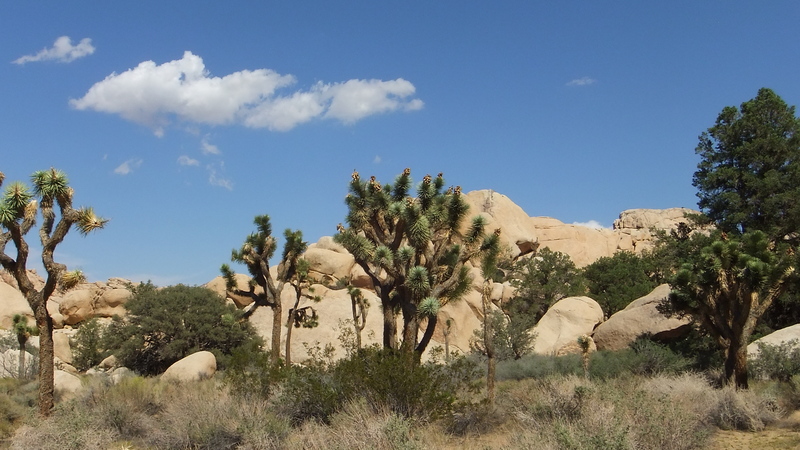 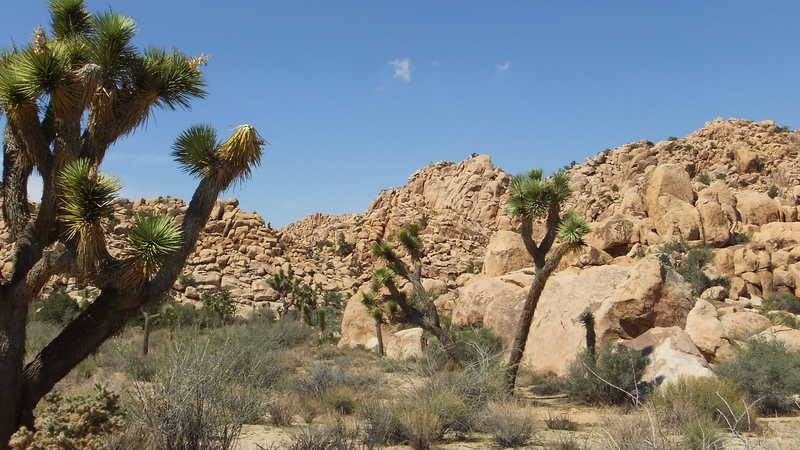 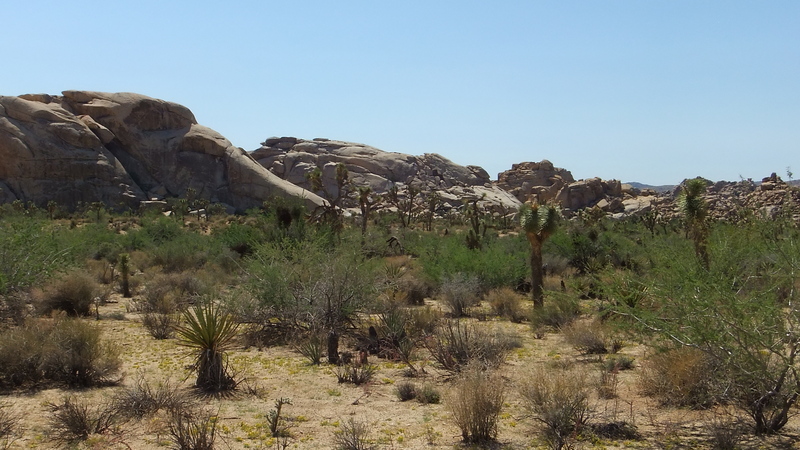 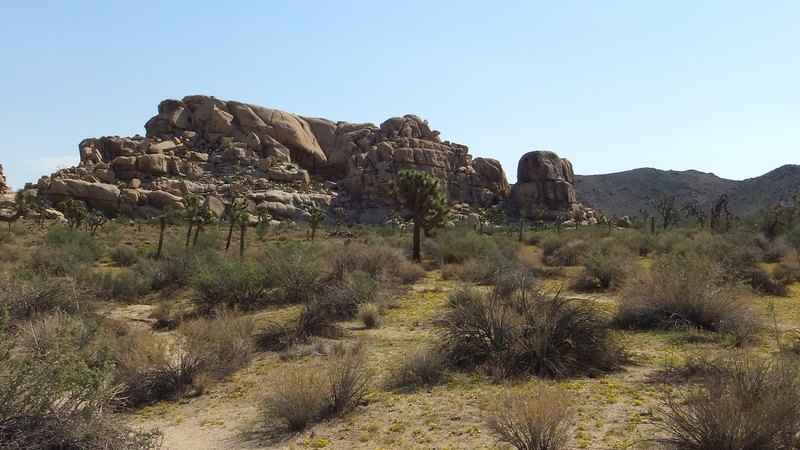 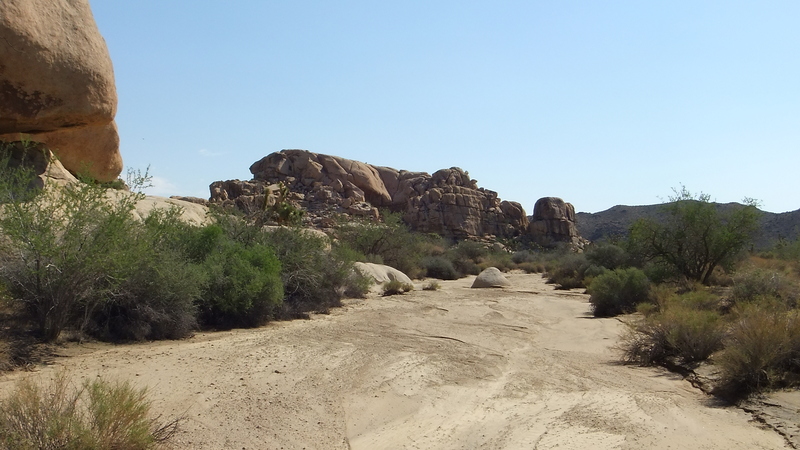 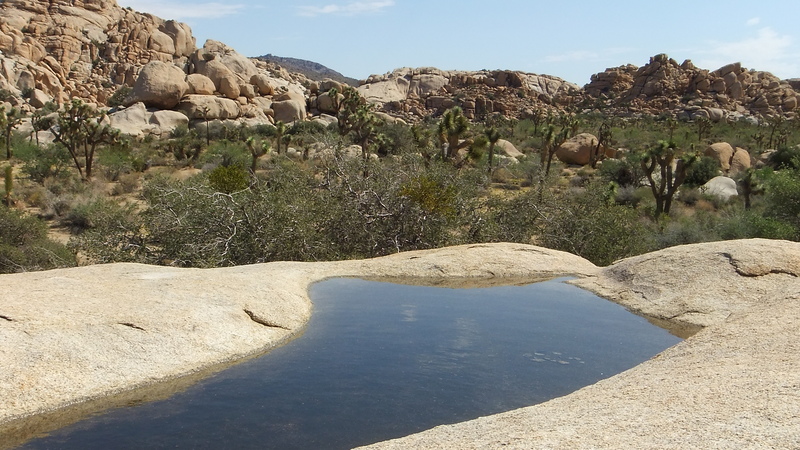 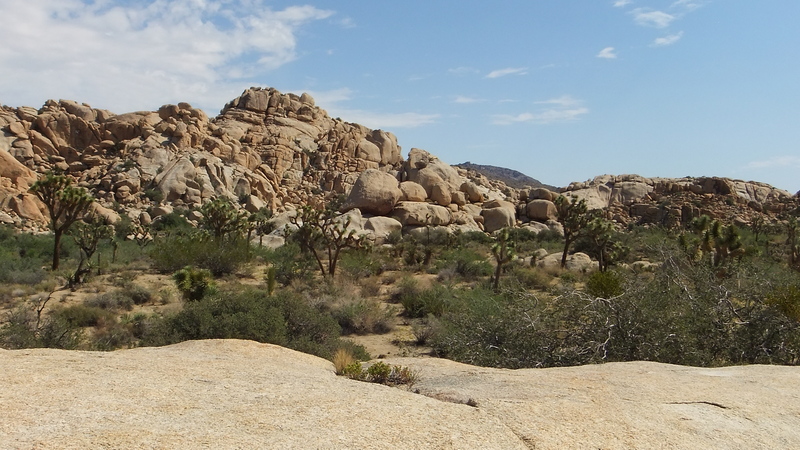 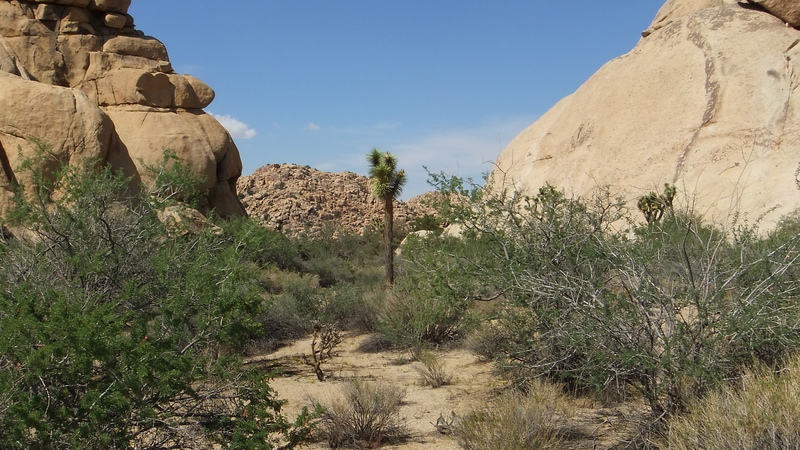 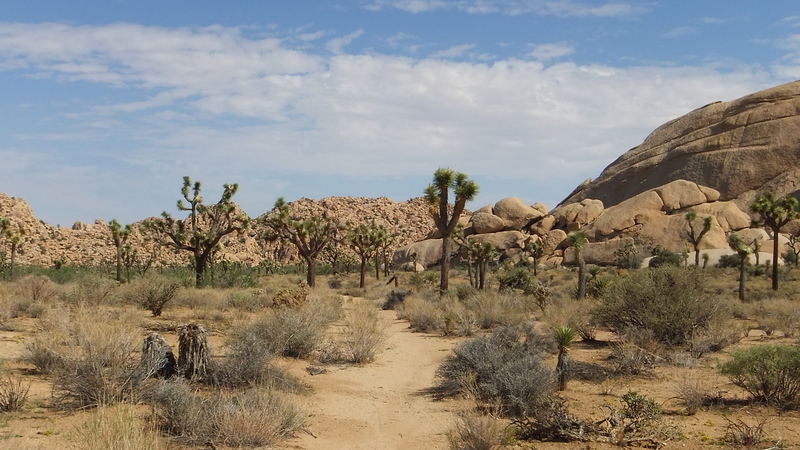 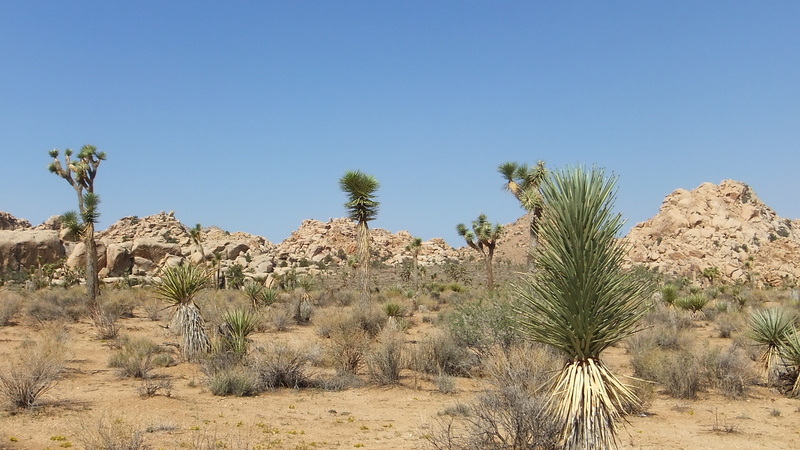 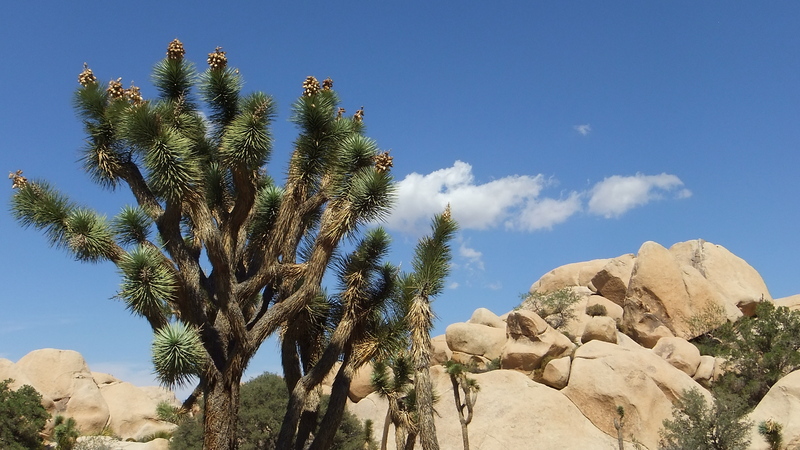 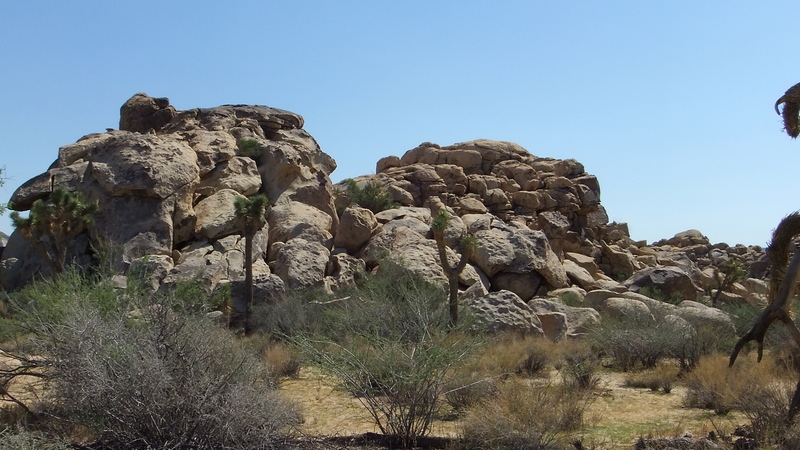 Thank you for visiting the Echo Rock area and Piano Valley at Joshua Tree 3D.